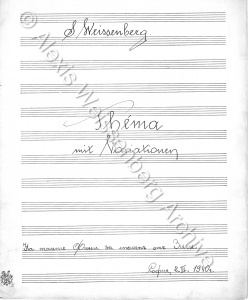 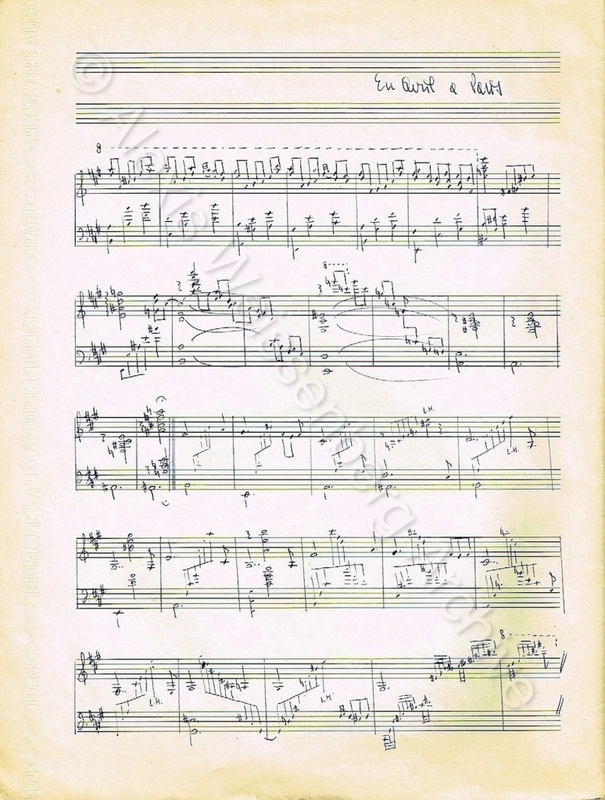 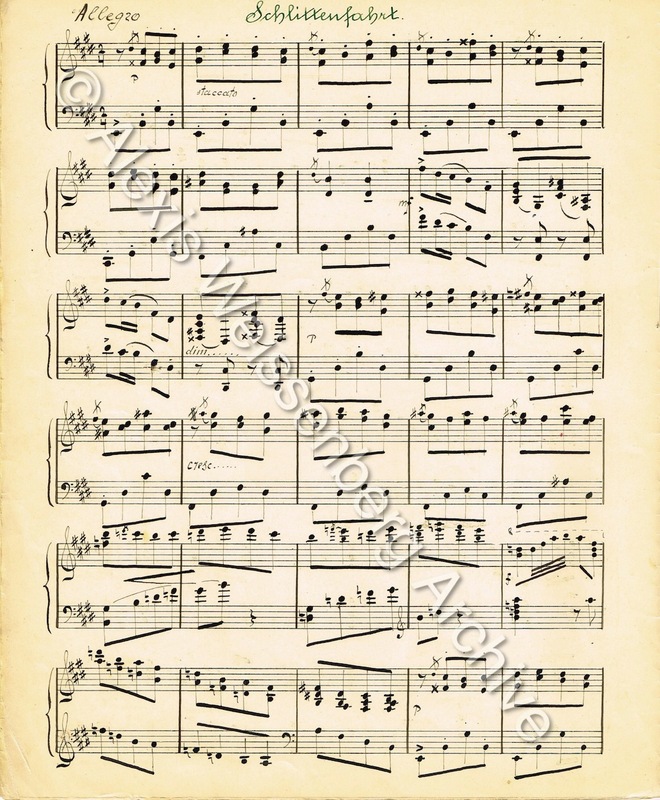 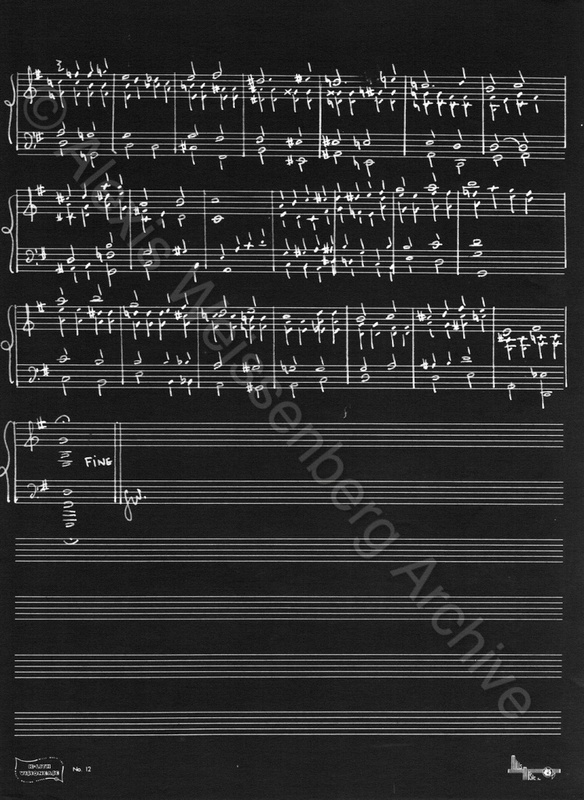 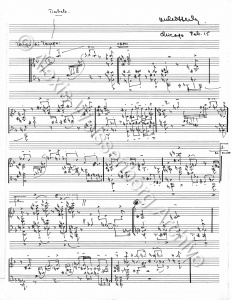 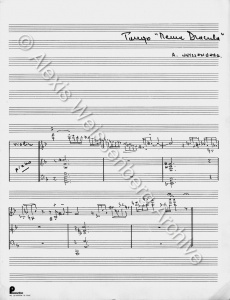 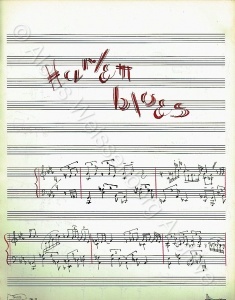 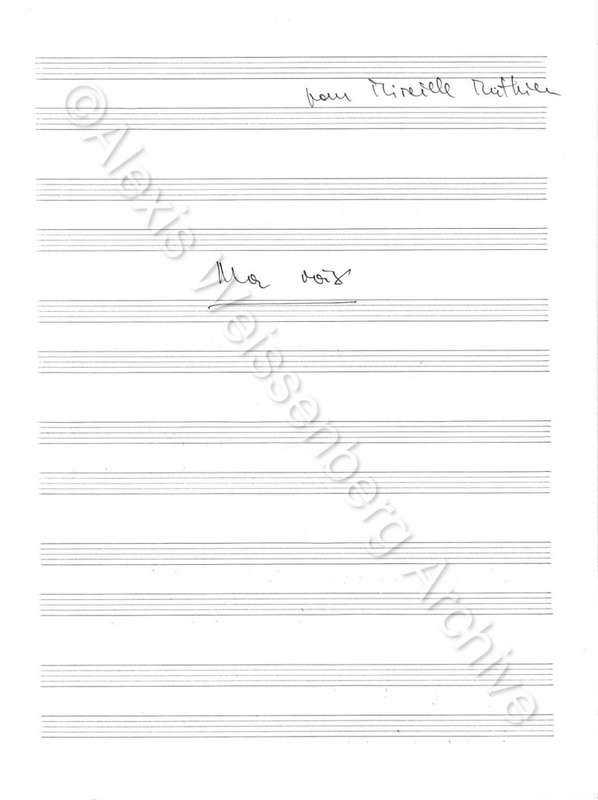 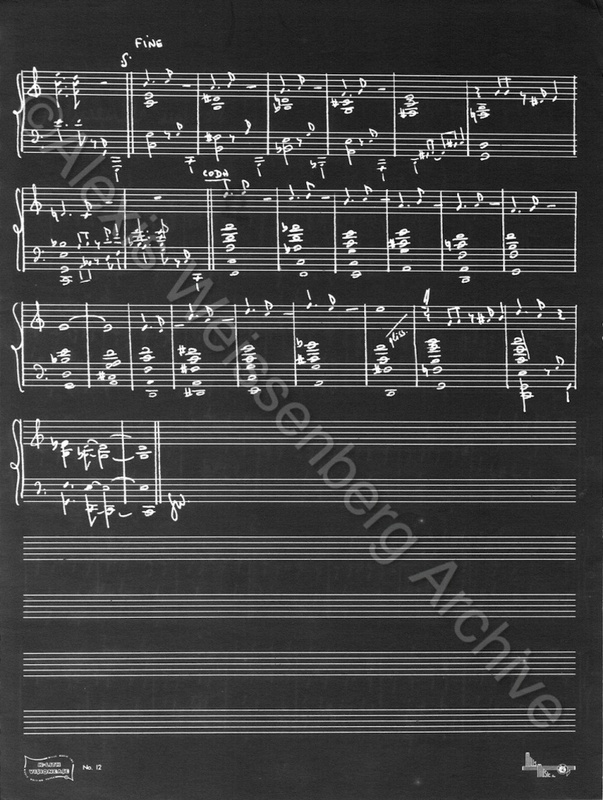 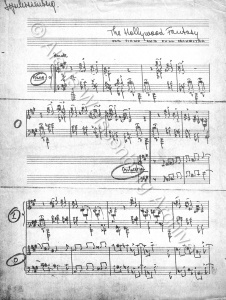 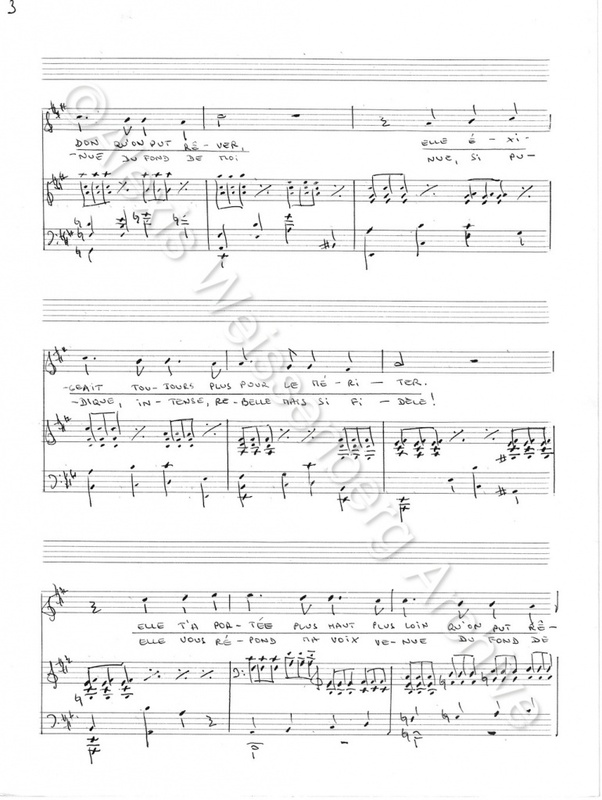 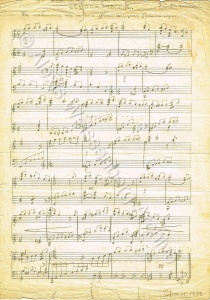 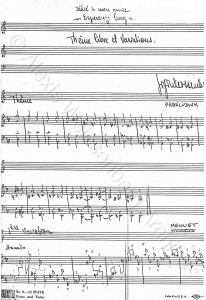 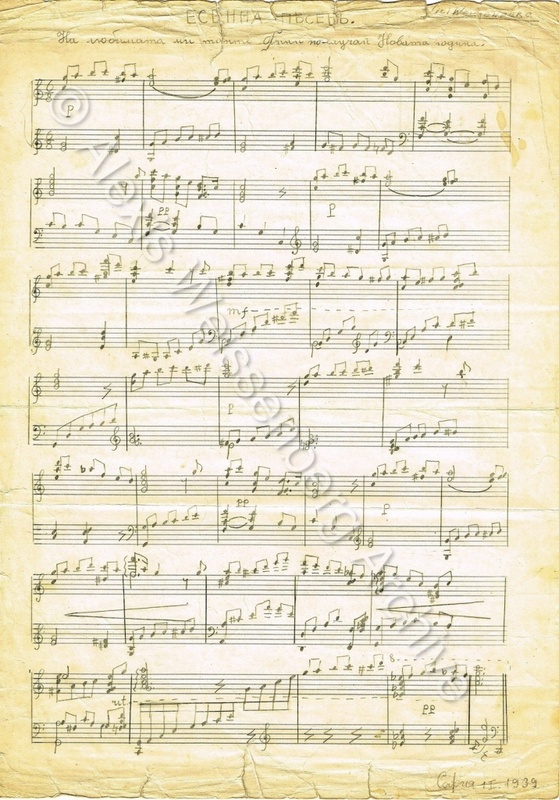 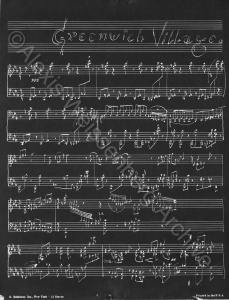 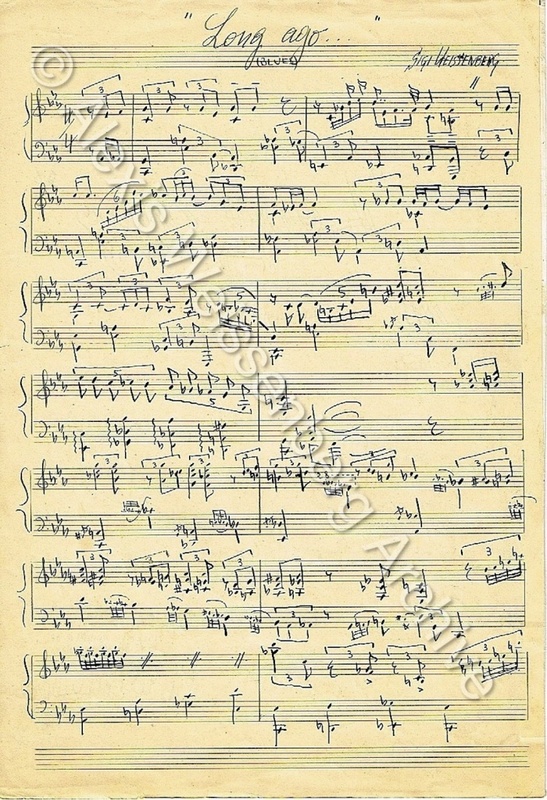 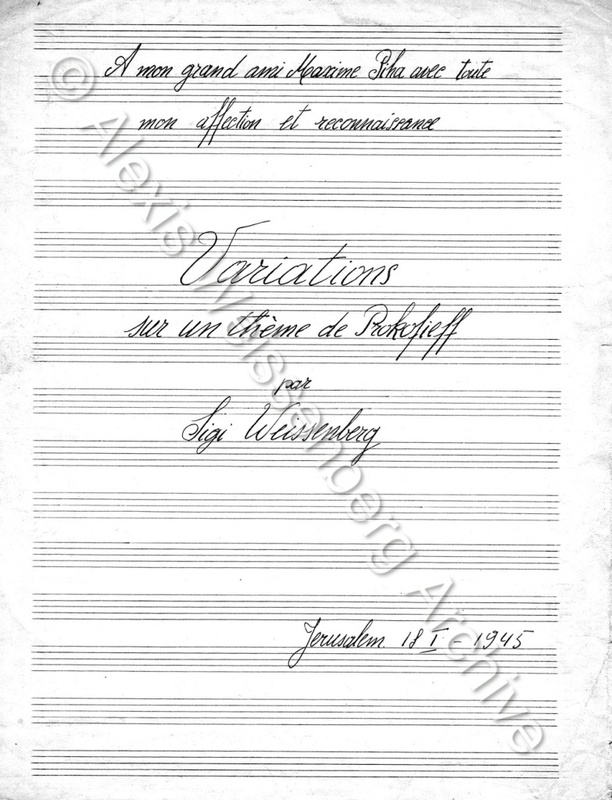 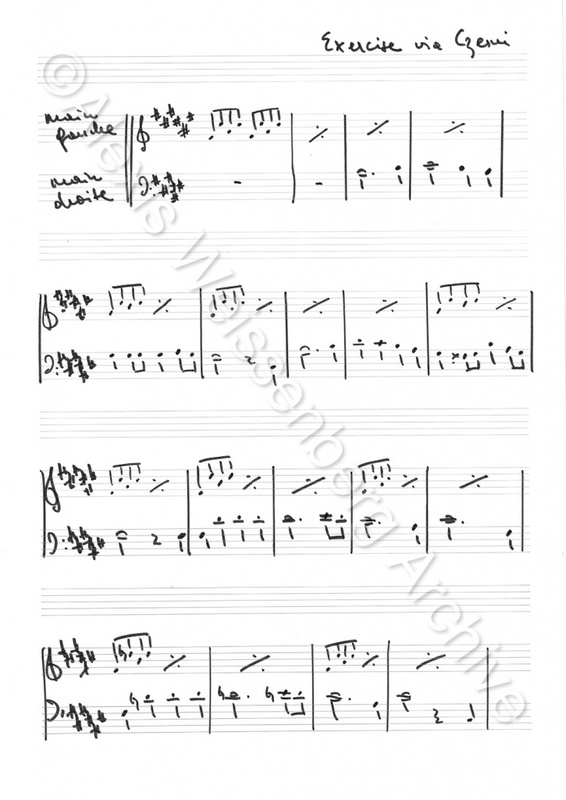 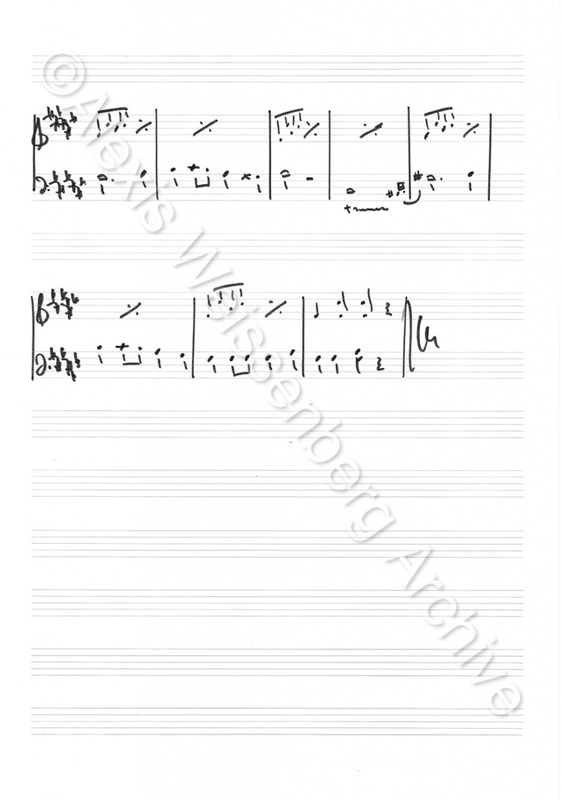 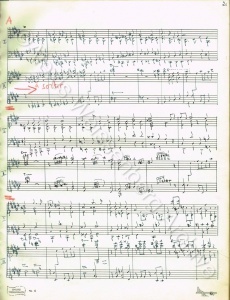 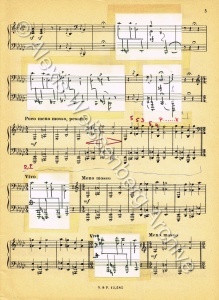 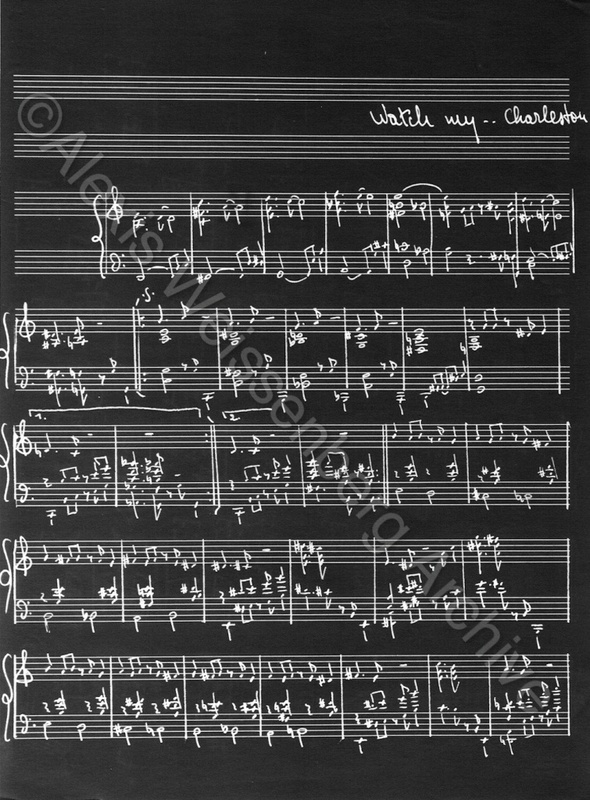 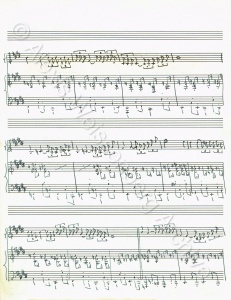 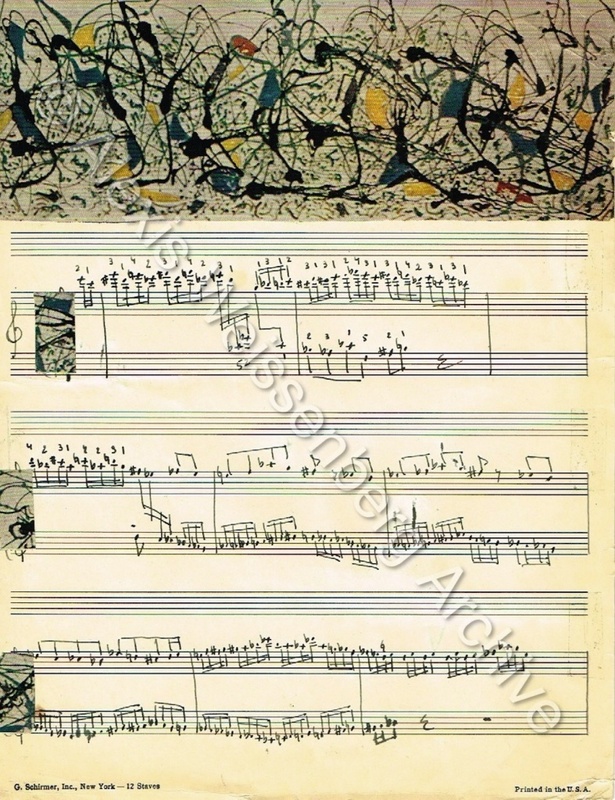 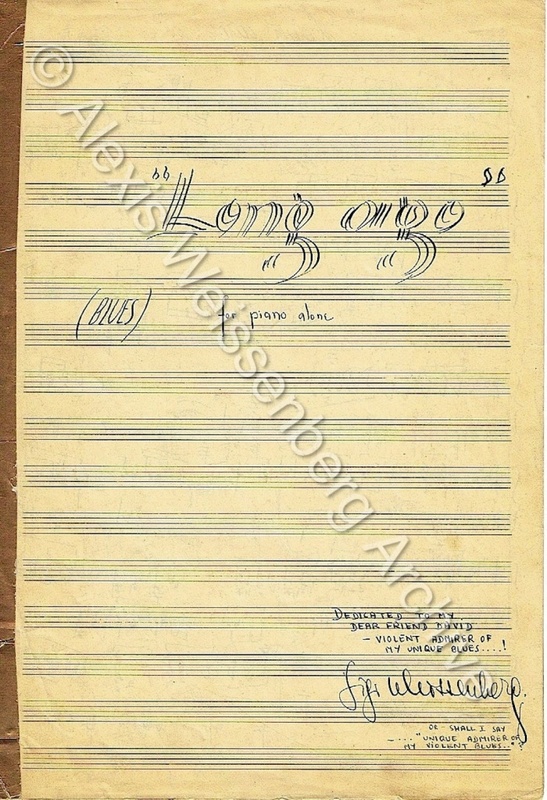 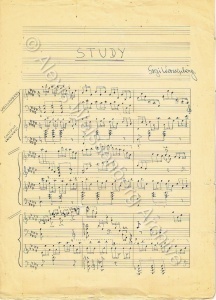 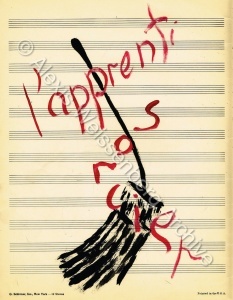 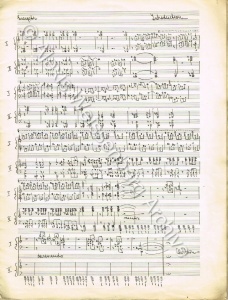 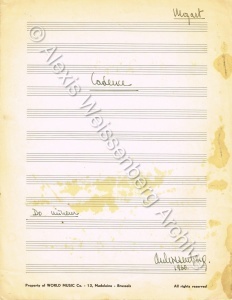 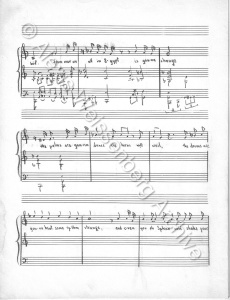 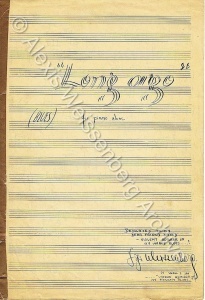 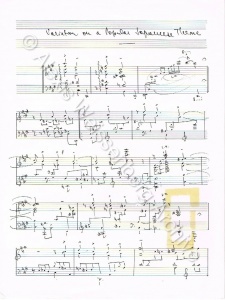 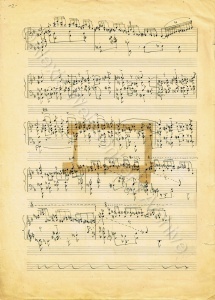 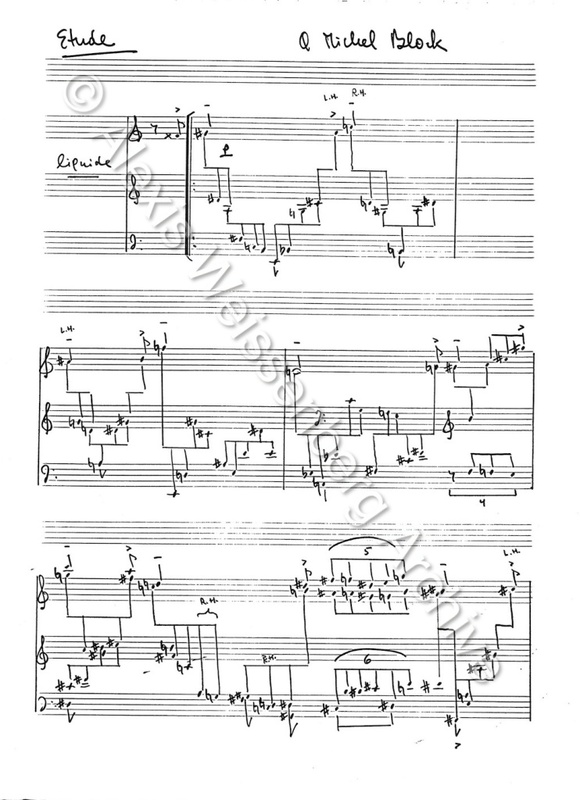 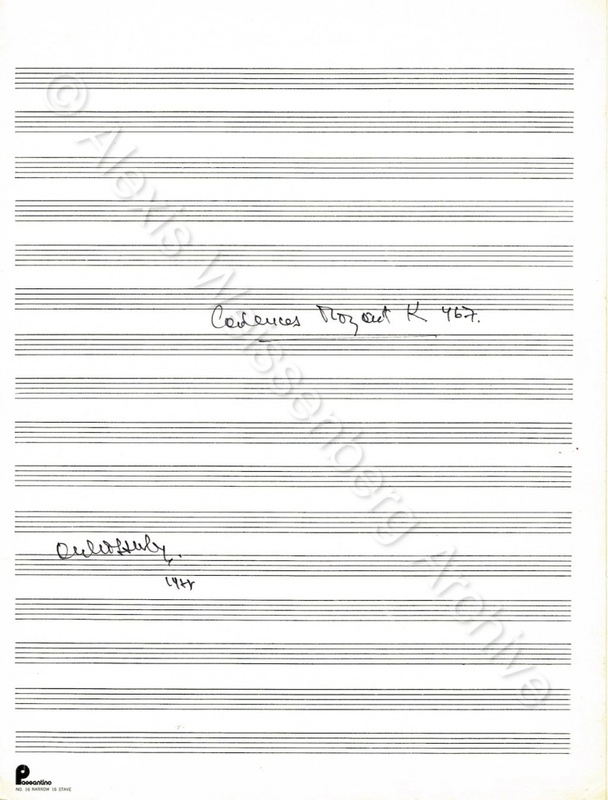 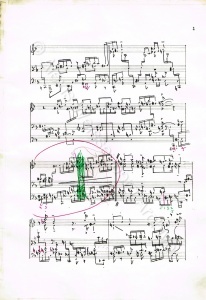 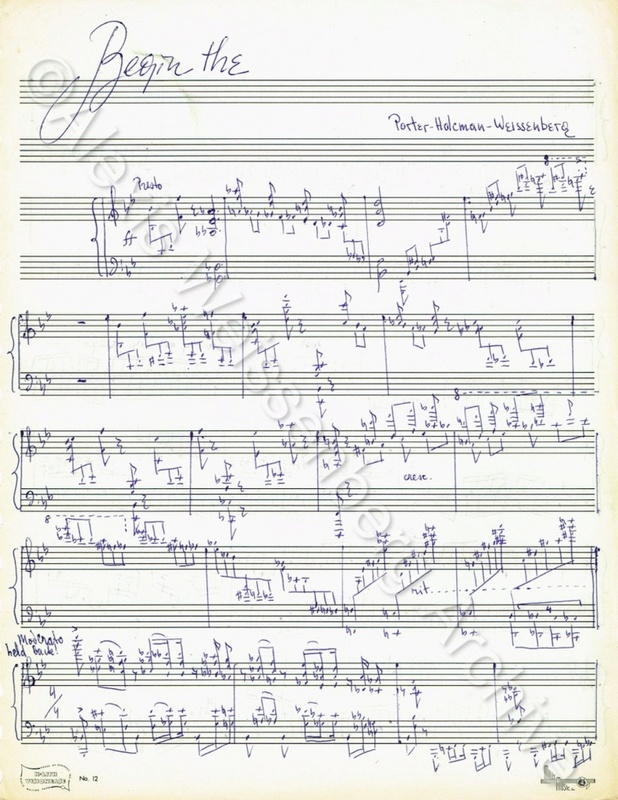 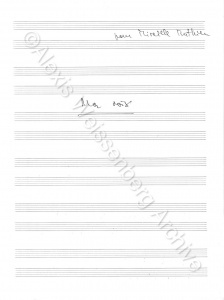 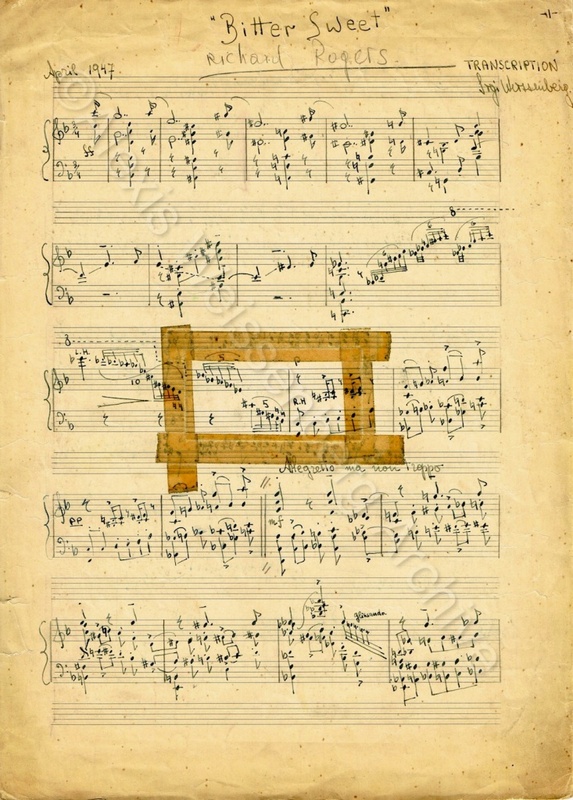 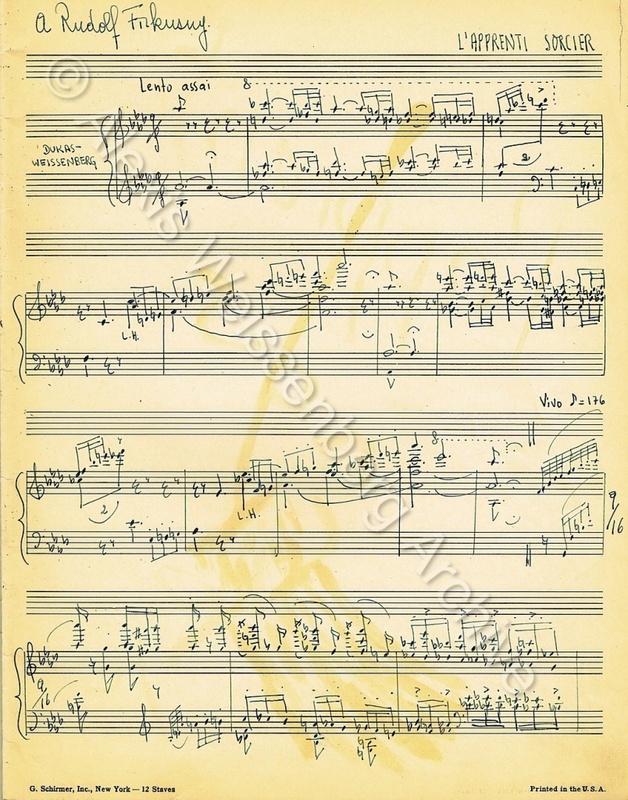 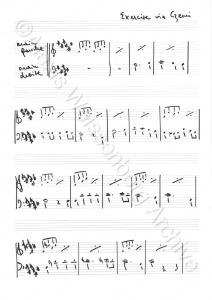 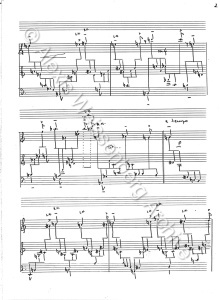 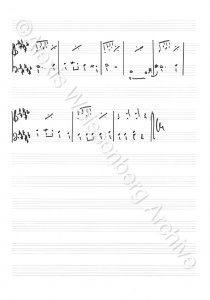 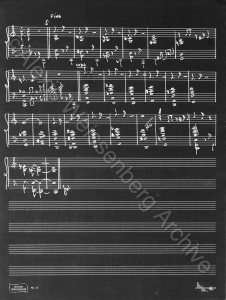 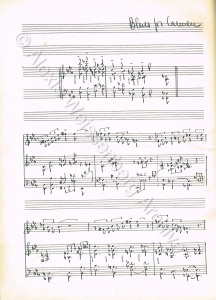 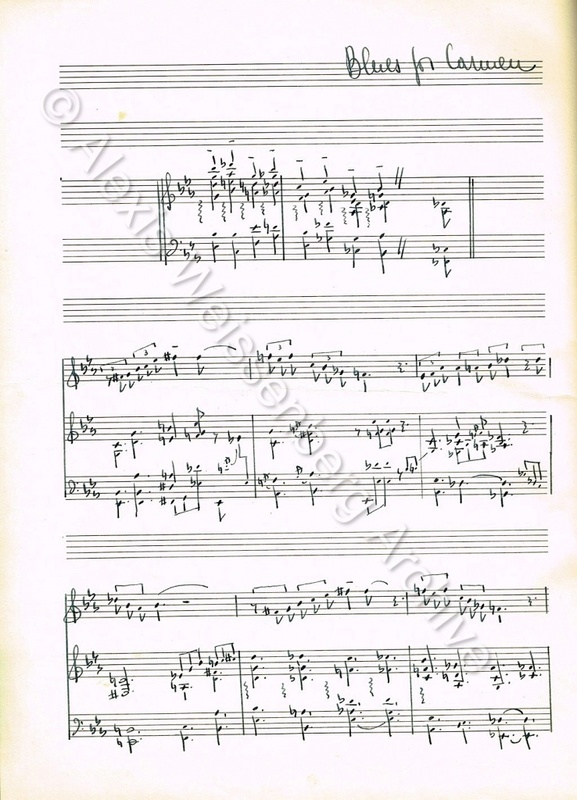 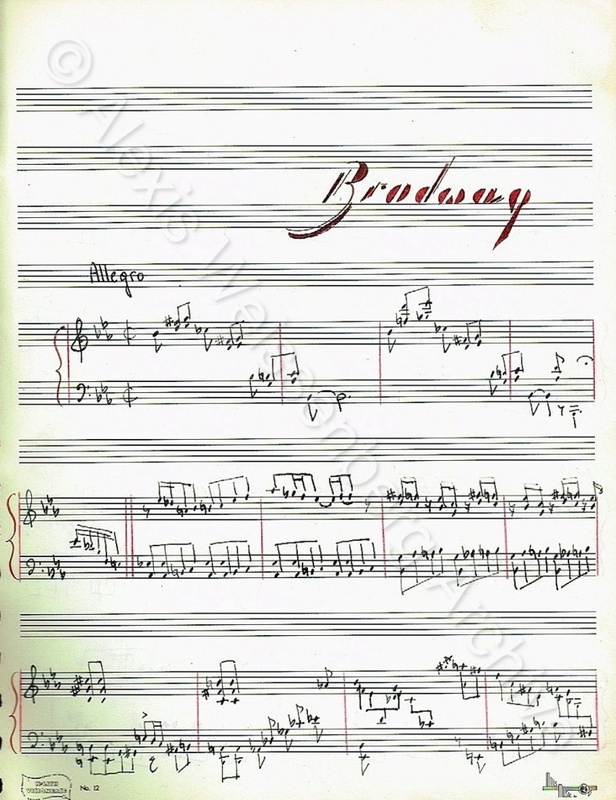 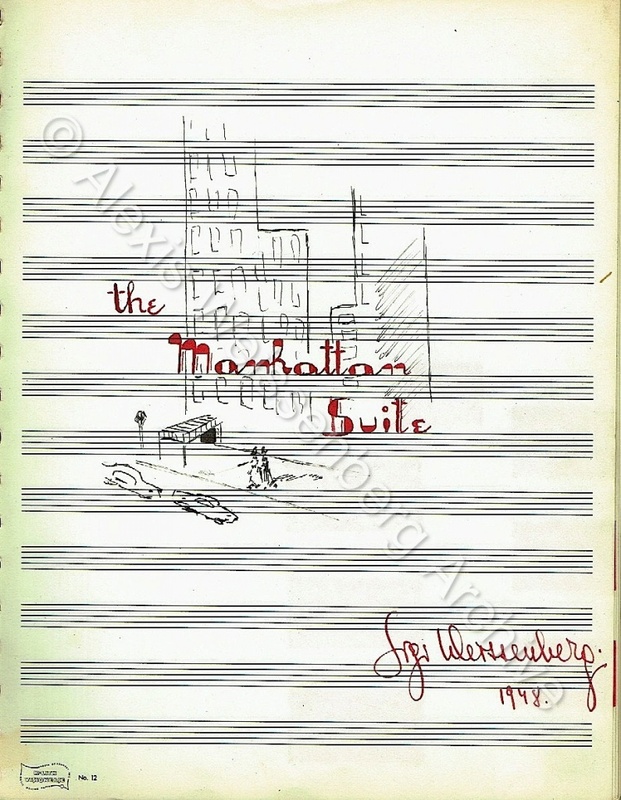 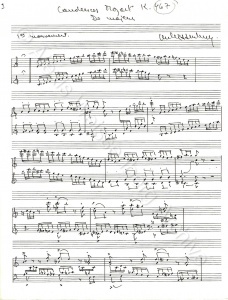 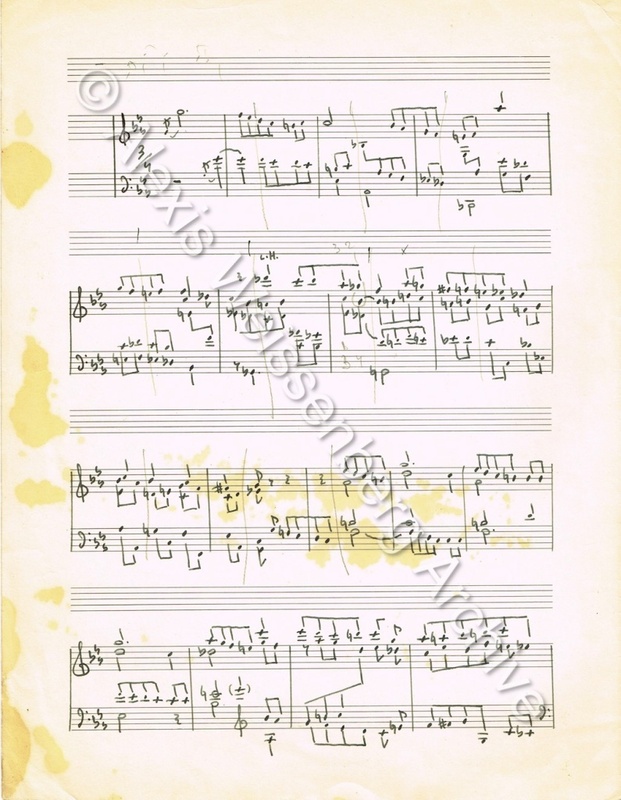 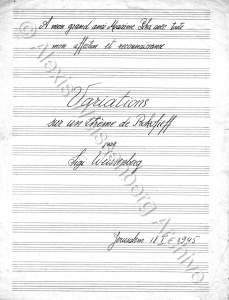 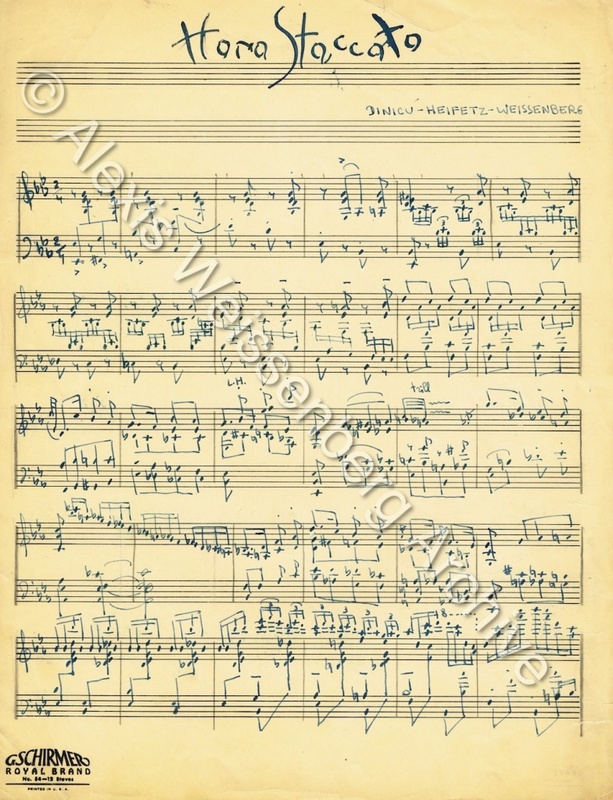 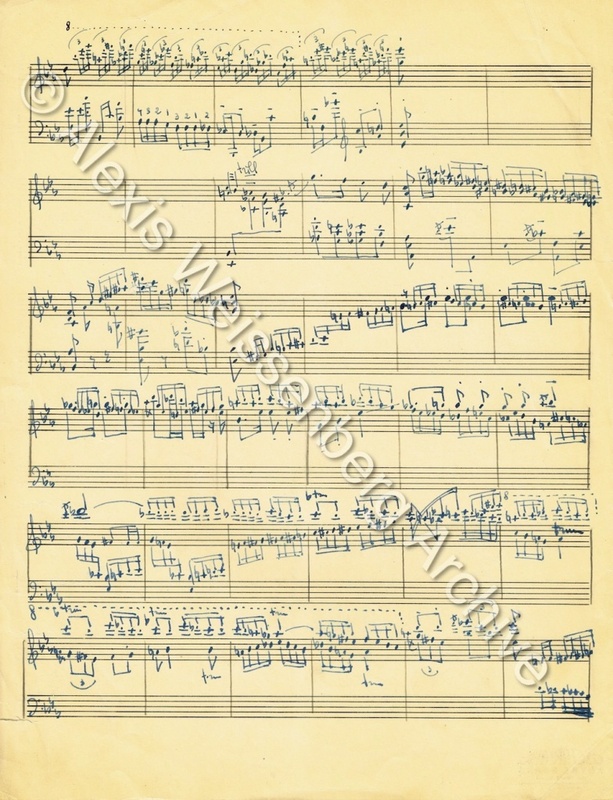 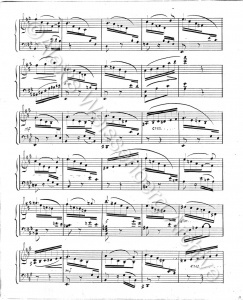 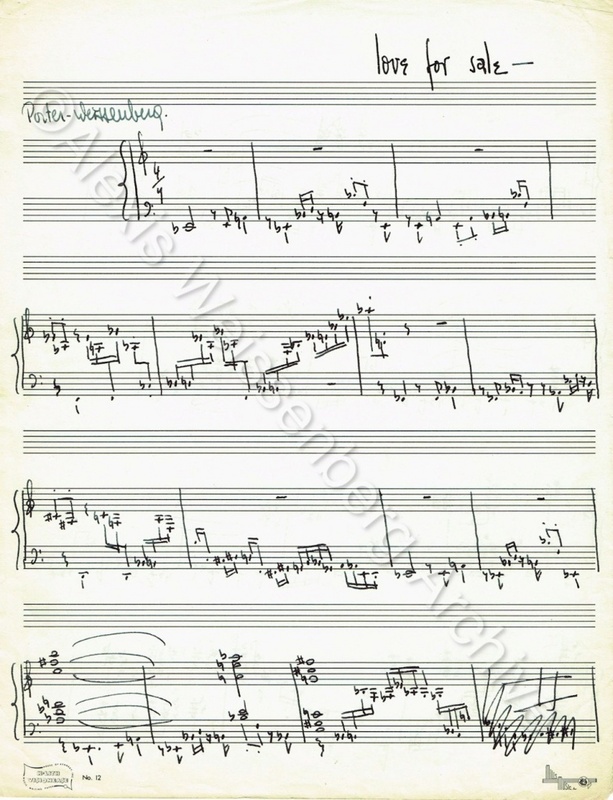 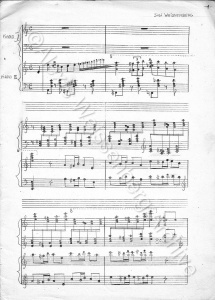 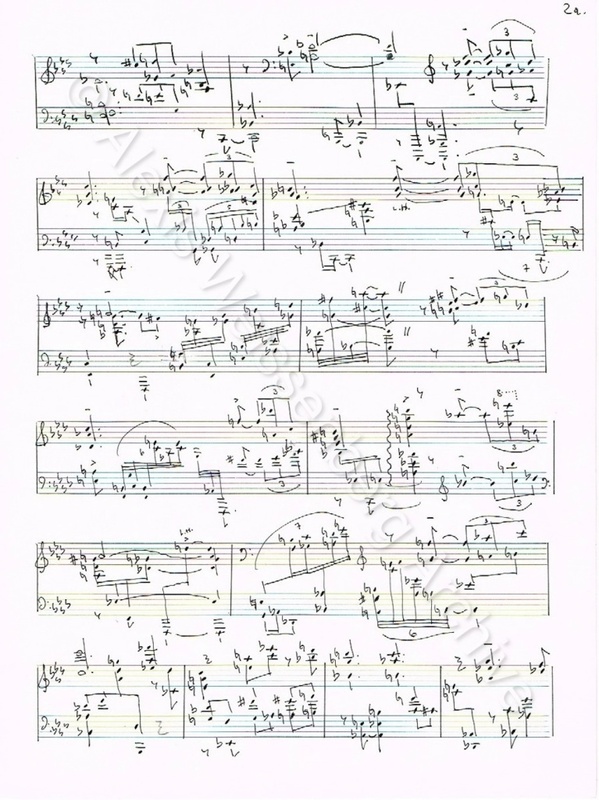 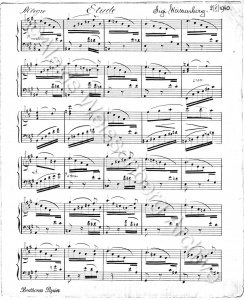 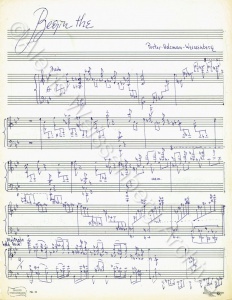 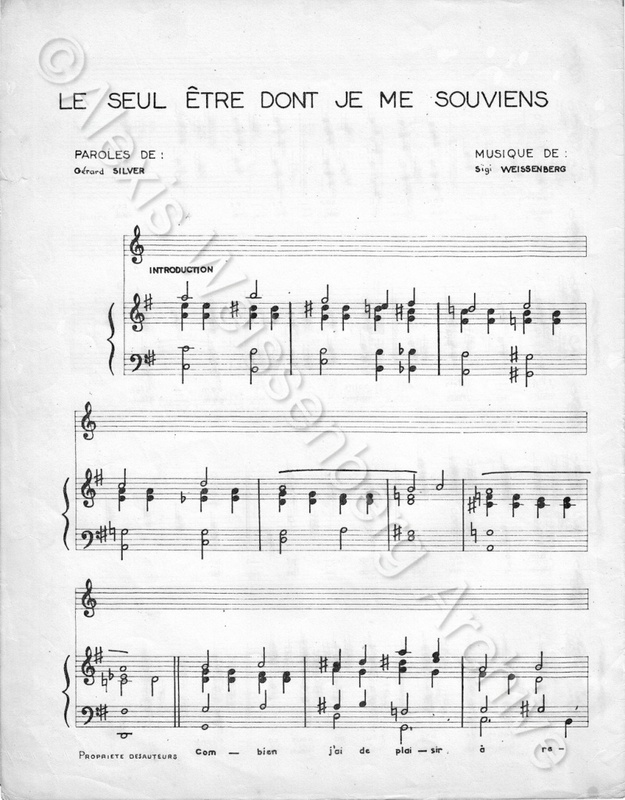 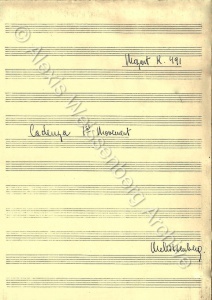 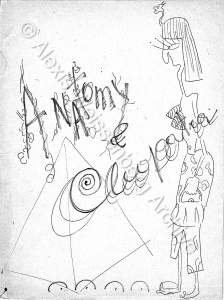 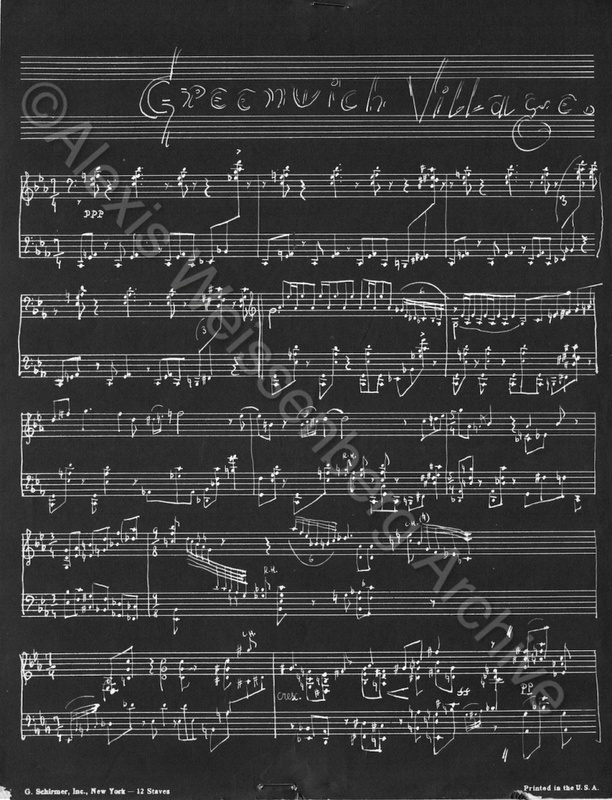 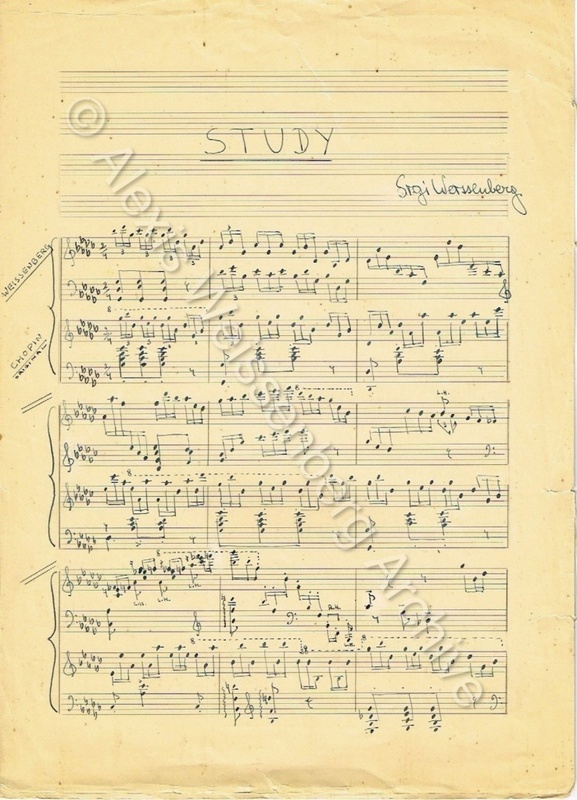 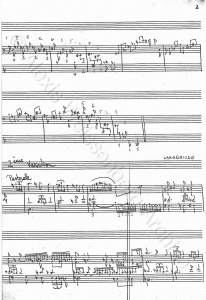 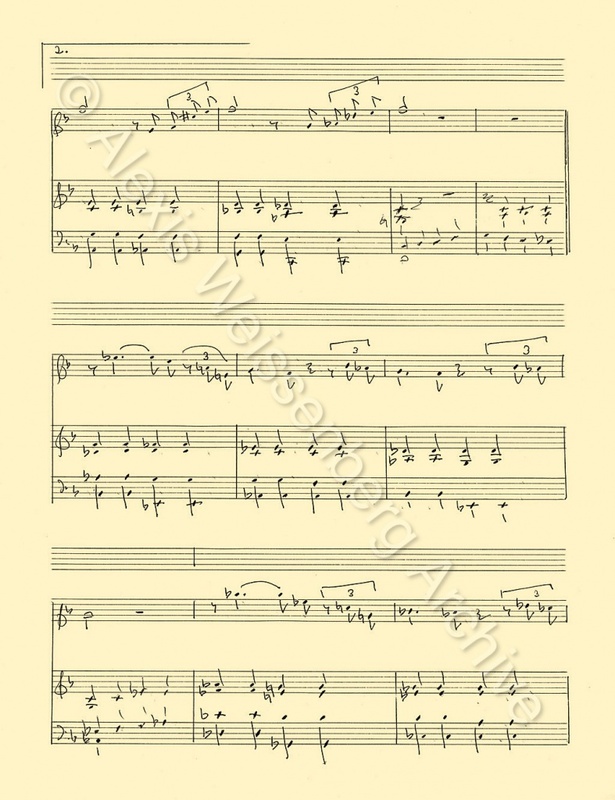 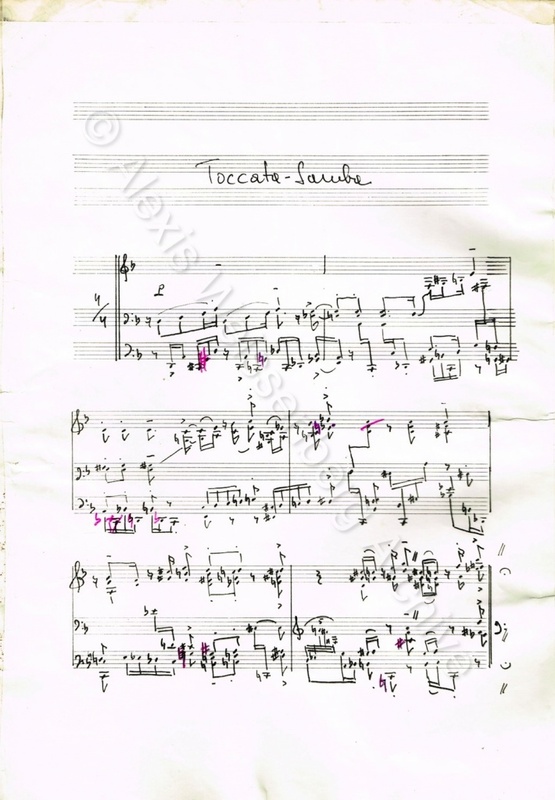 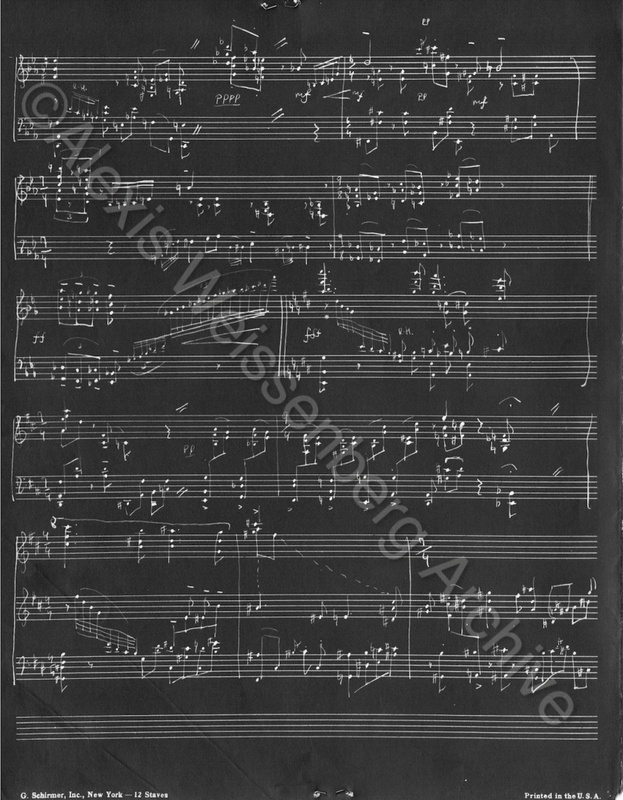 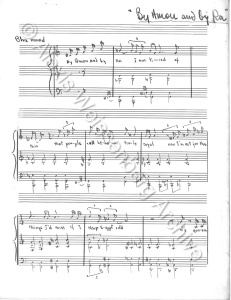 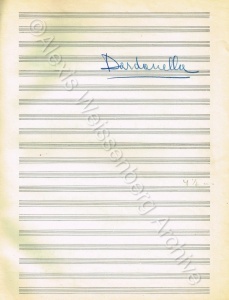 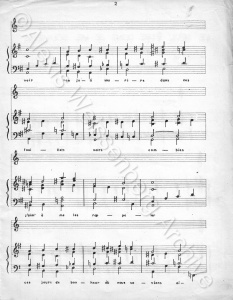 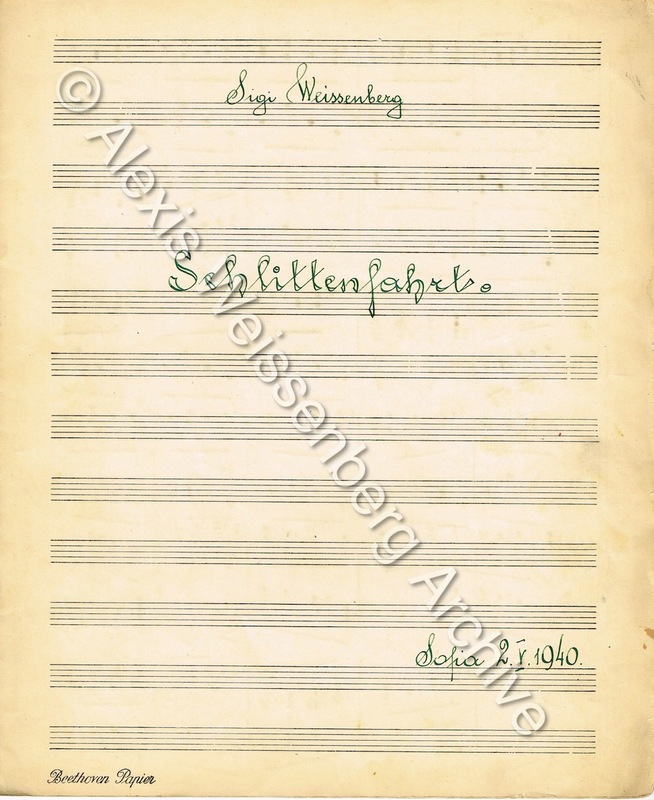 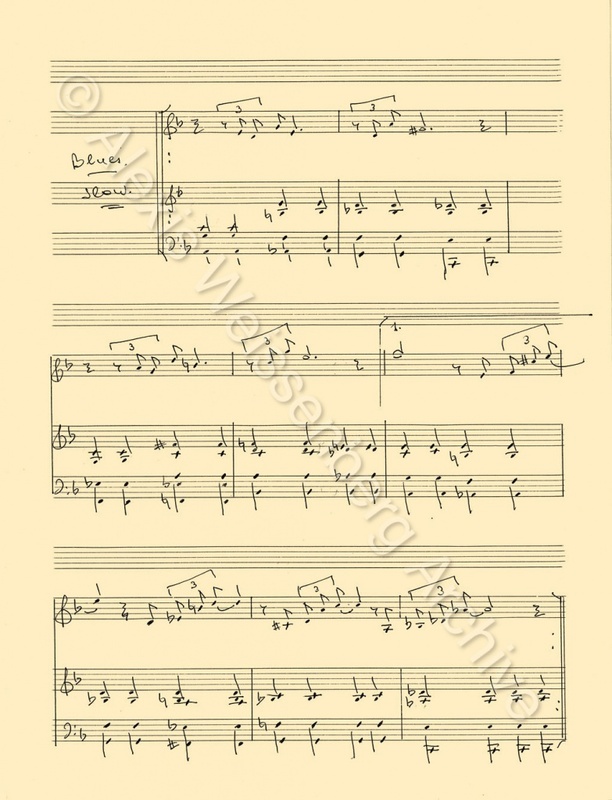 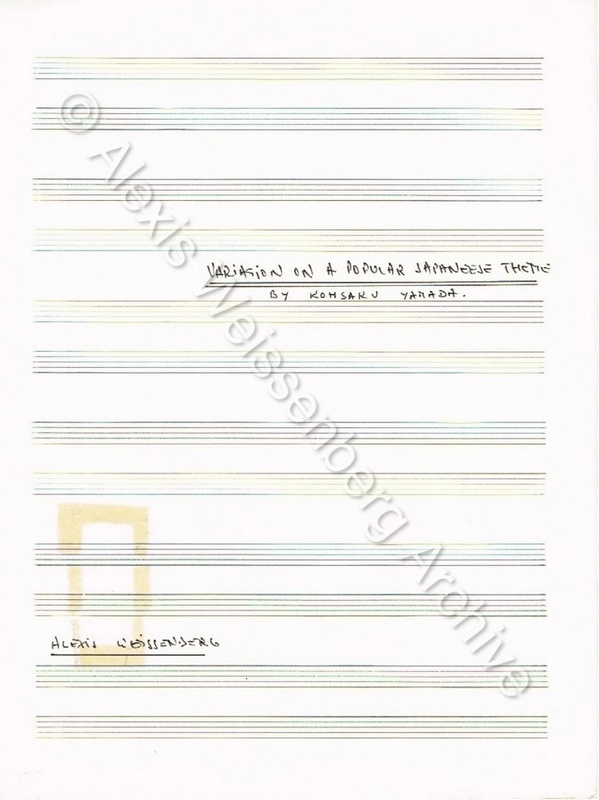 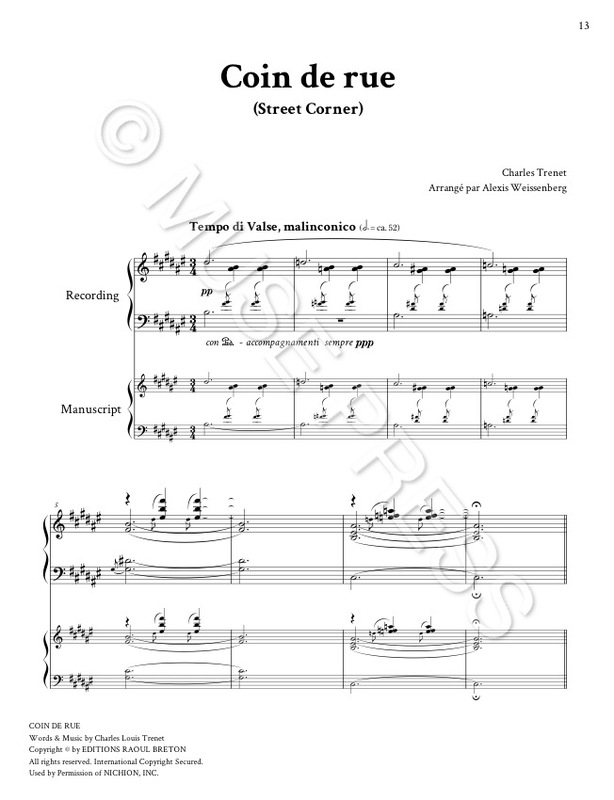 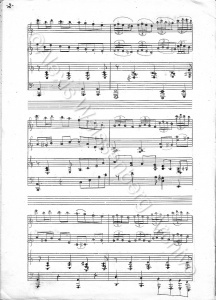 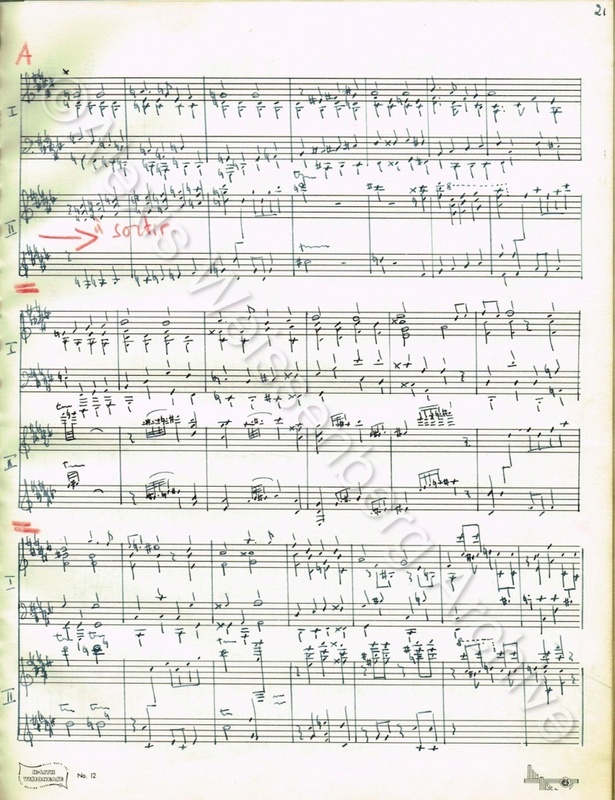 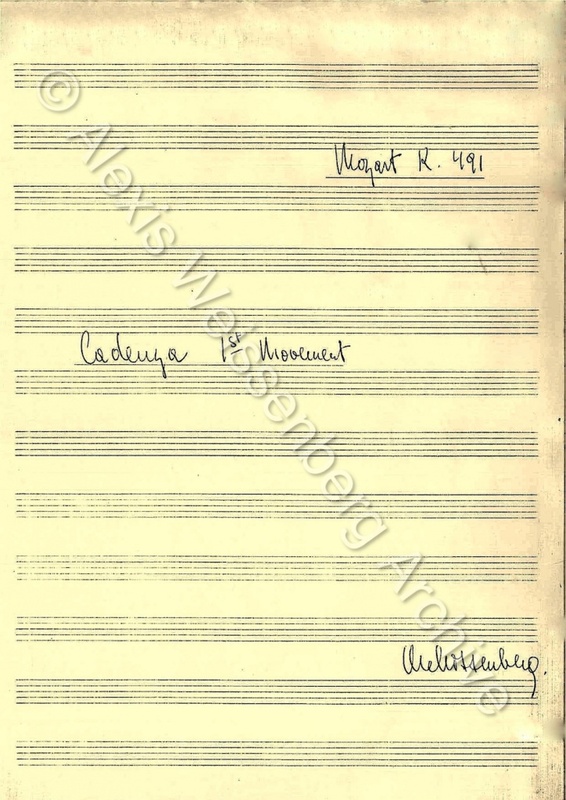 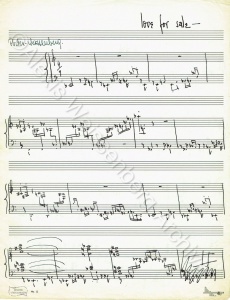 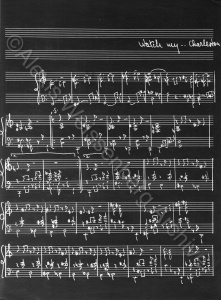 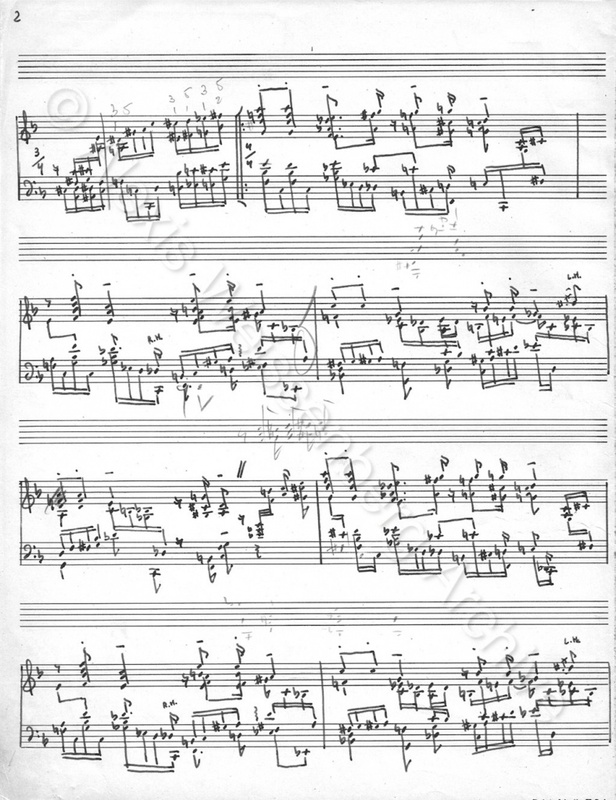 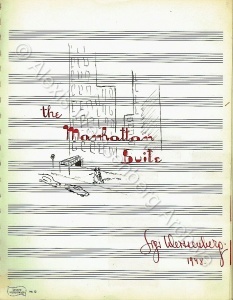 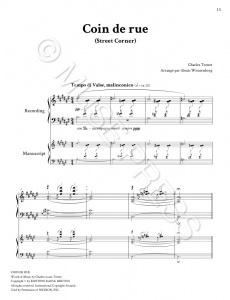 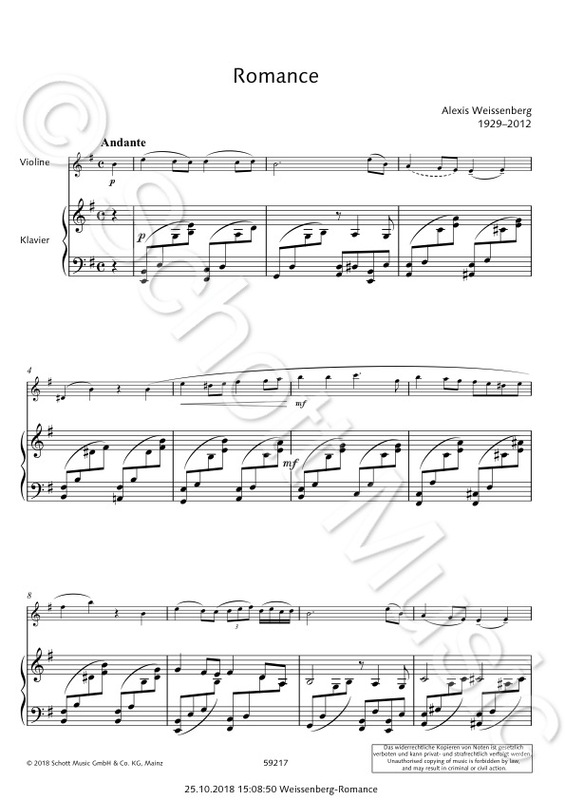 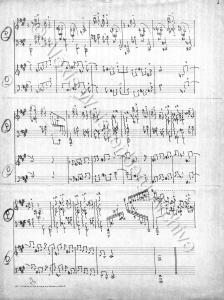 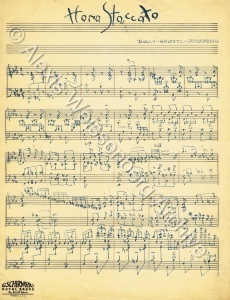 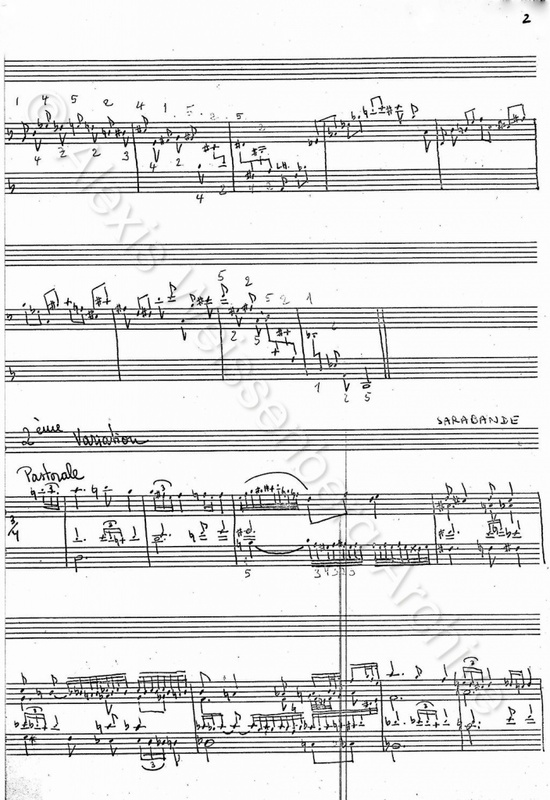 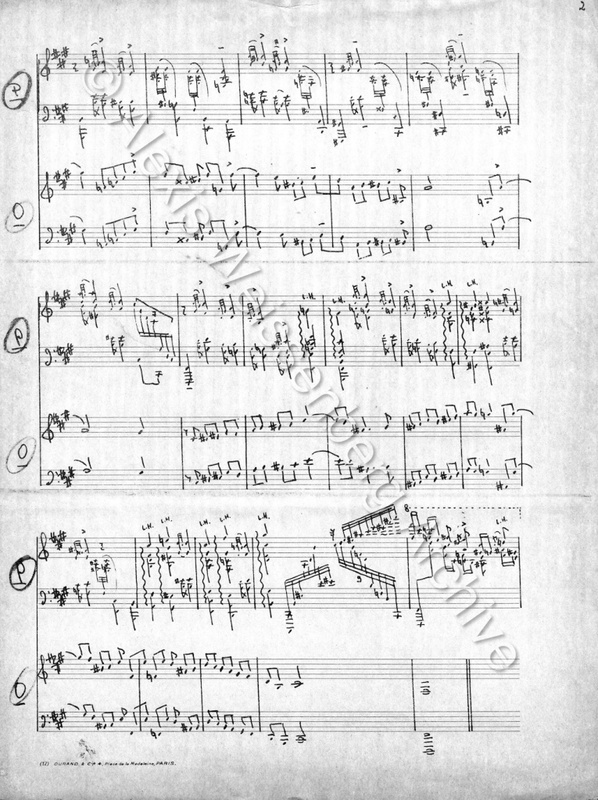 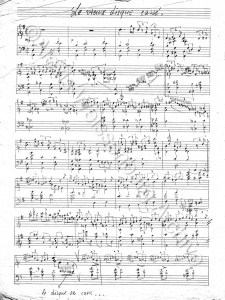 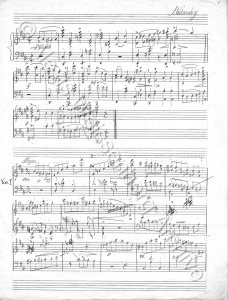 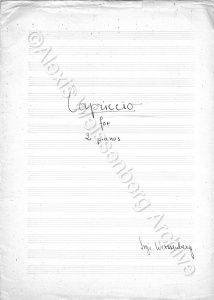 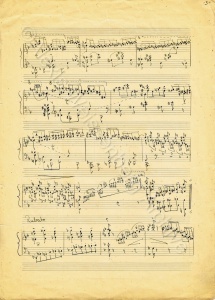 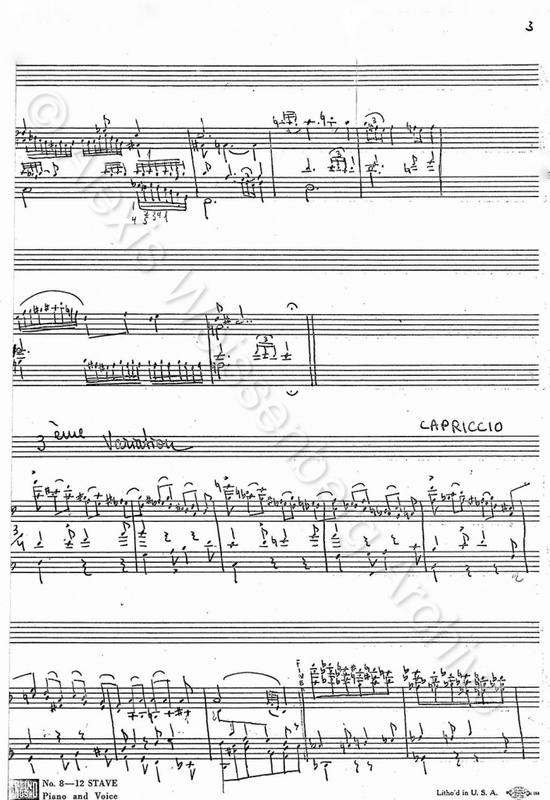 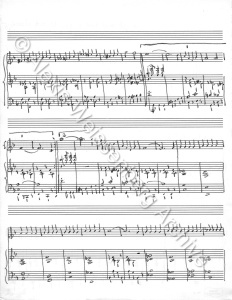 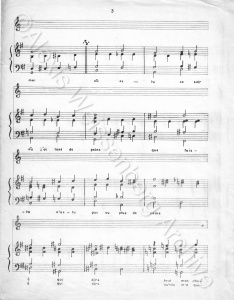 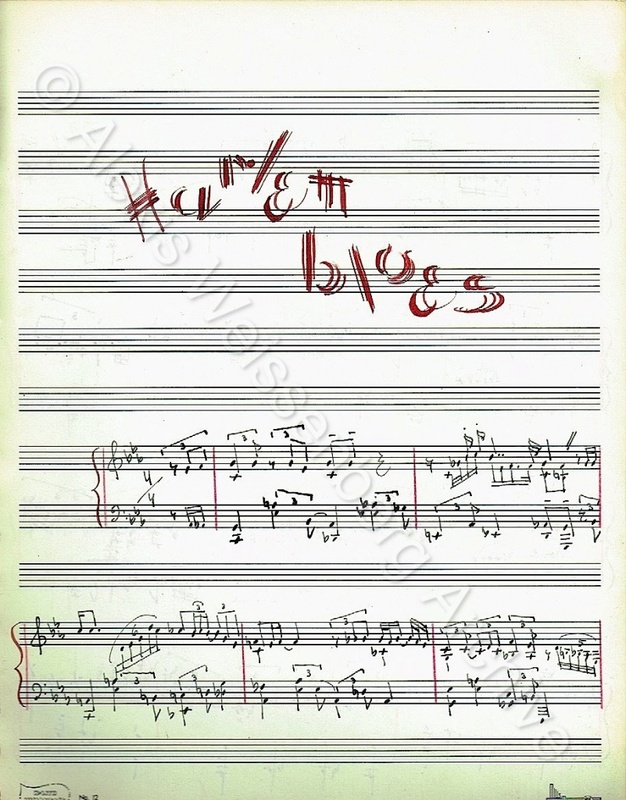 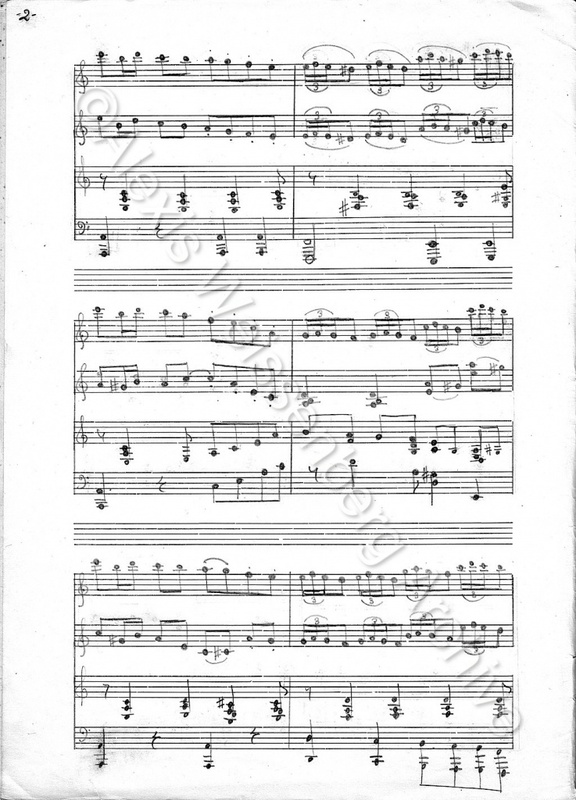 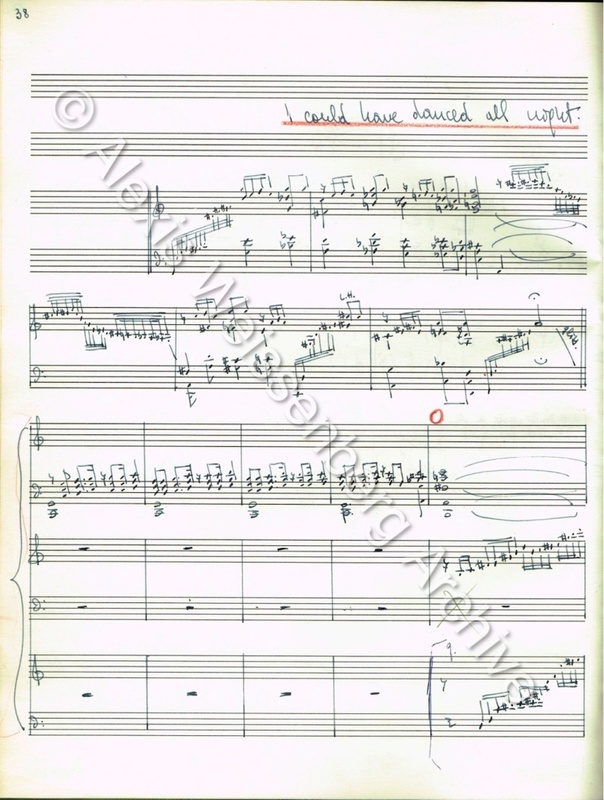 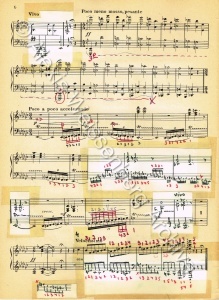 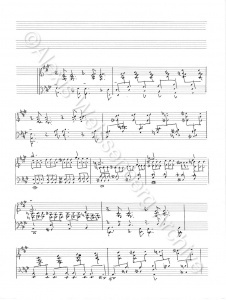 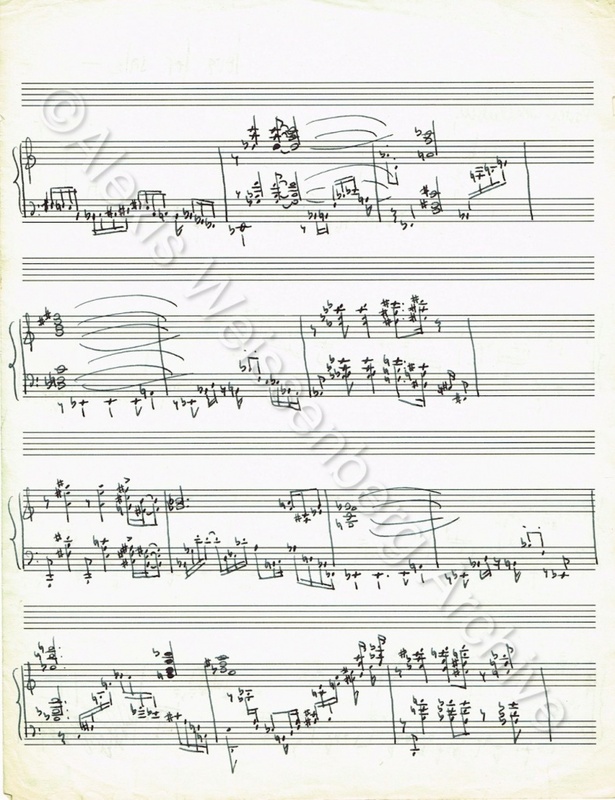 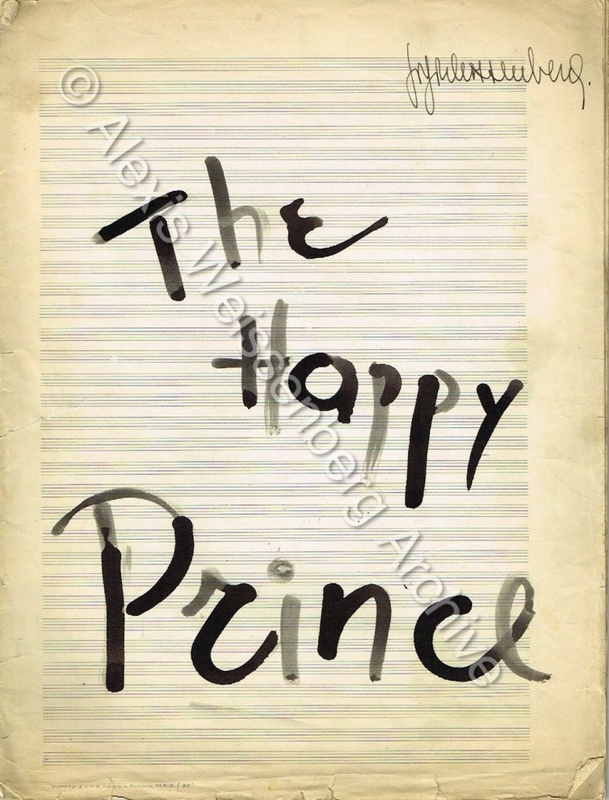 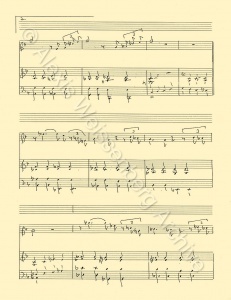 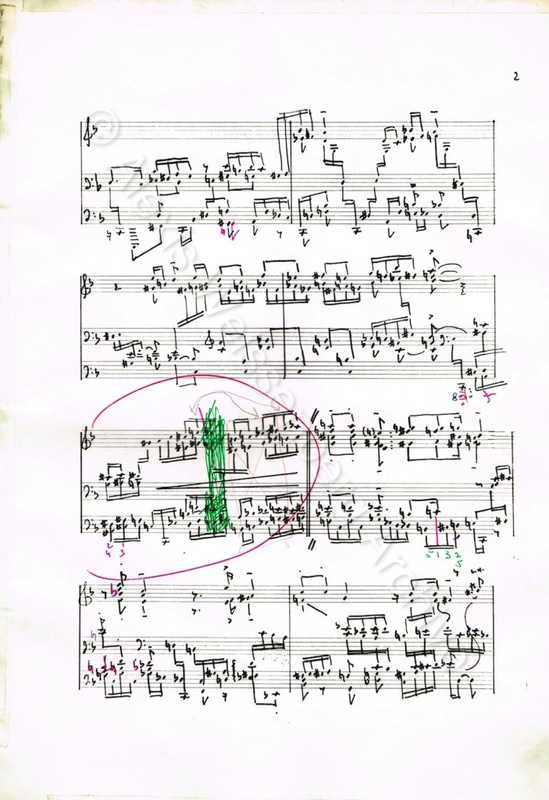 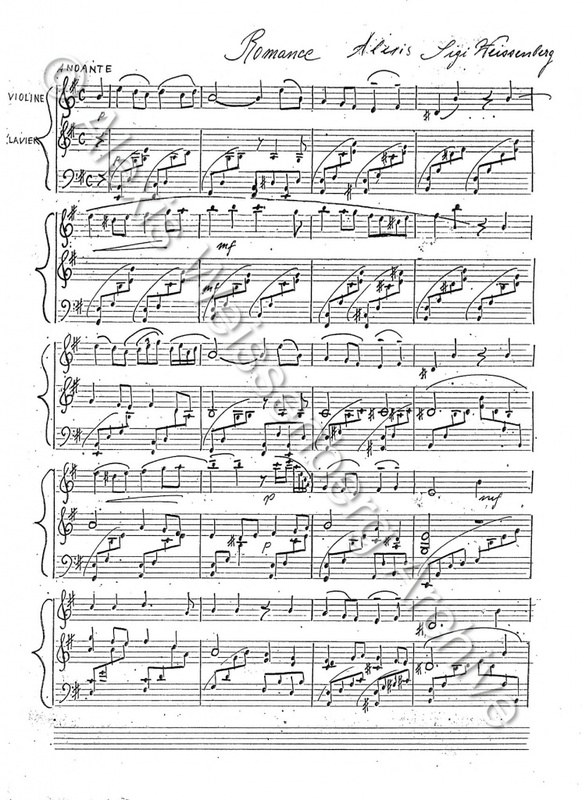 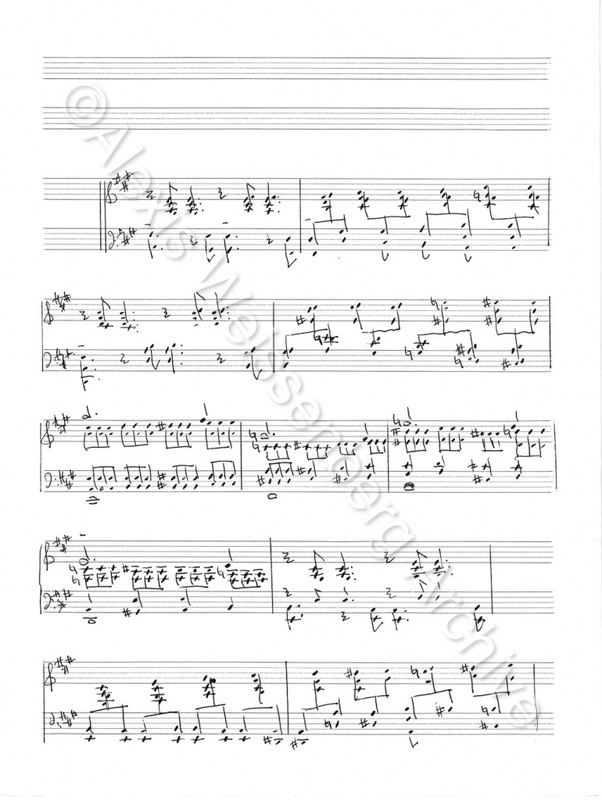 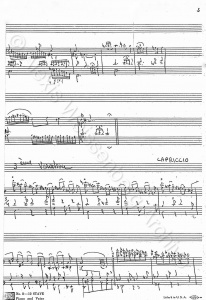 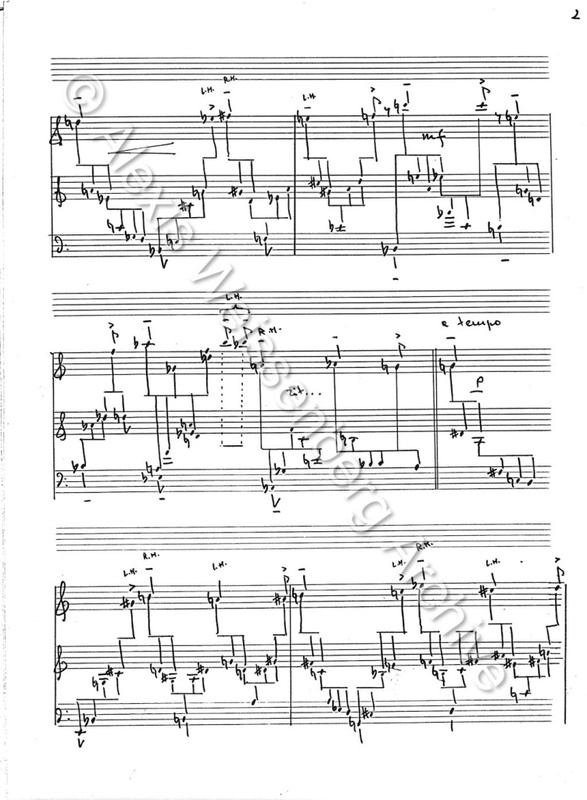 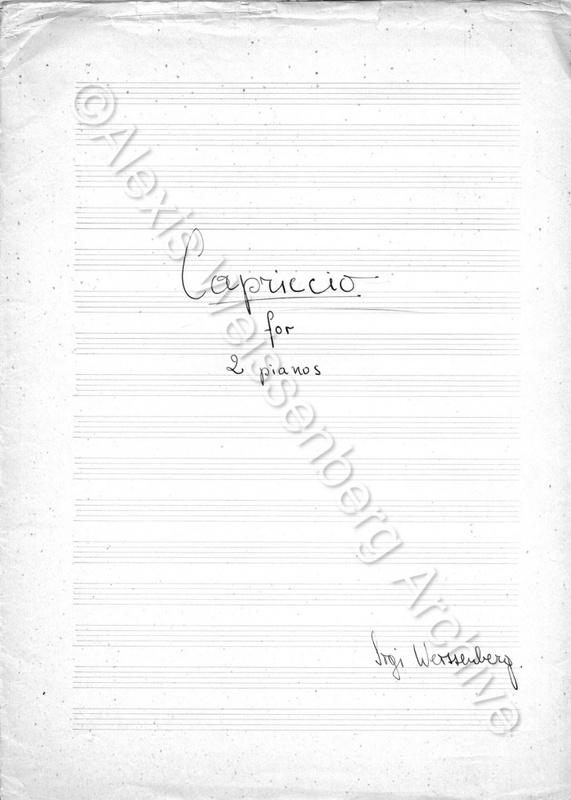 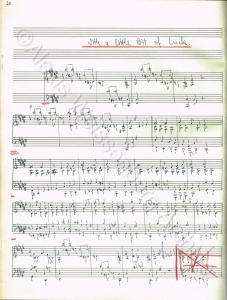 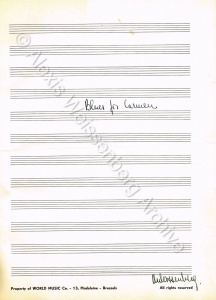 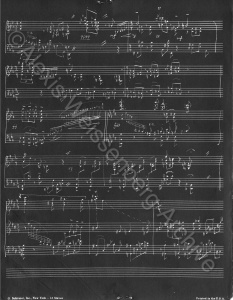 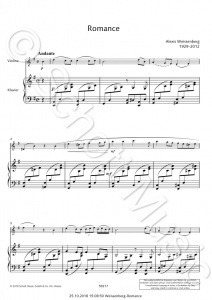 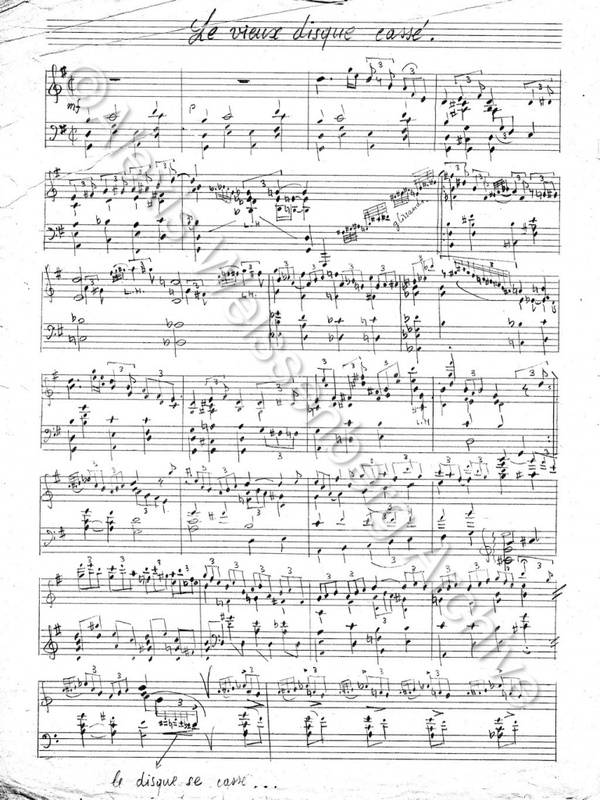 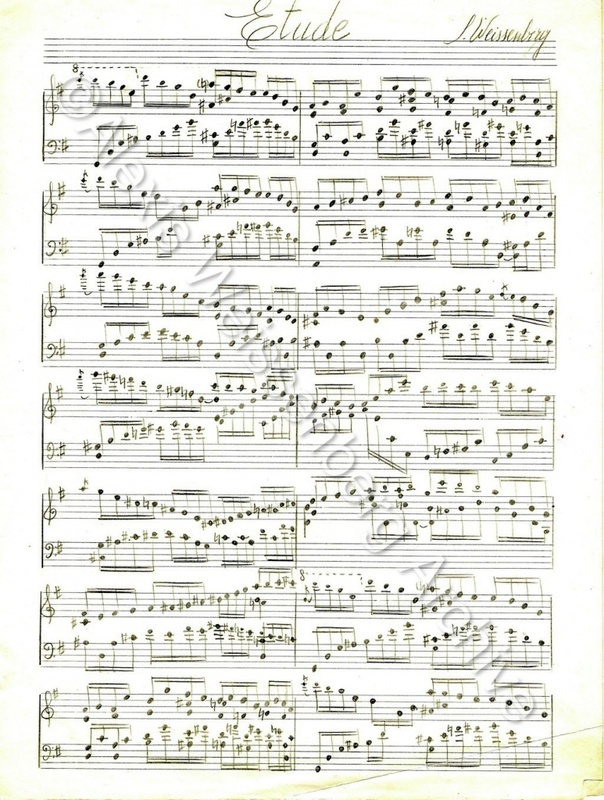 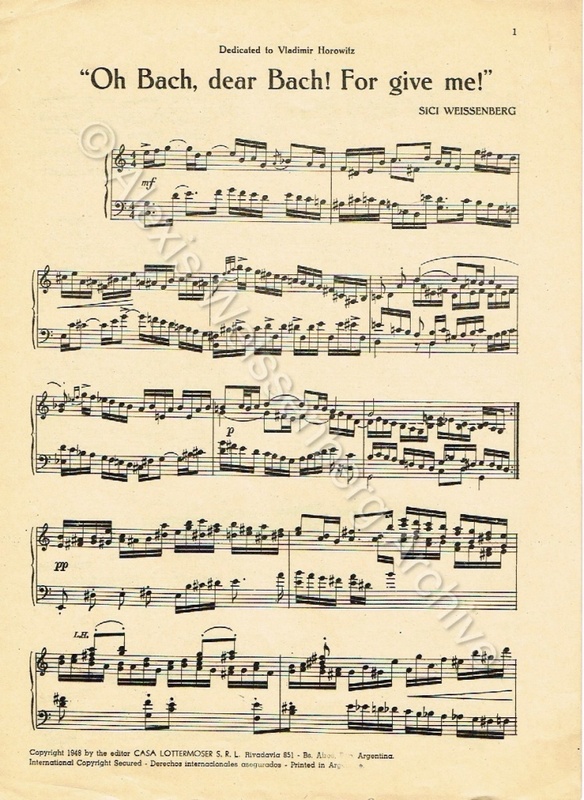 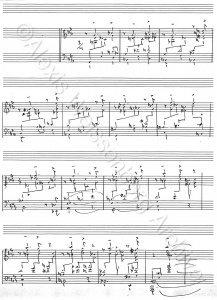 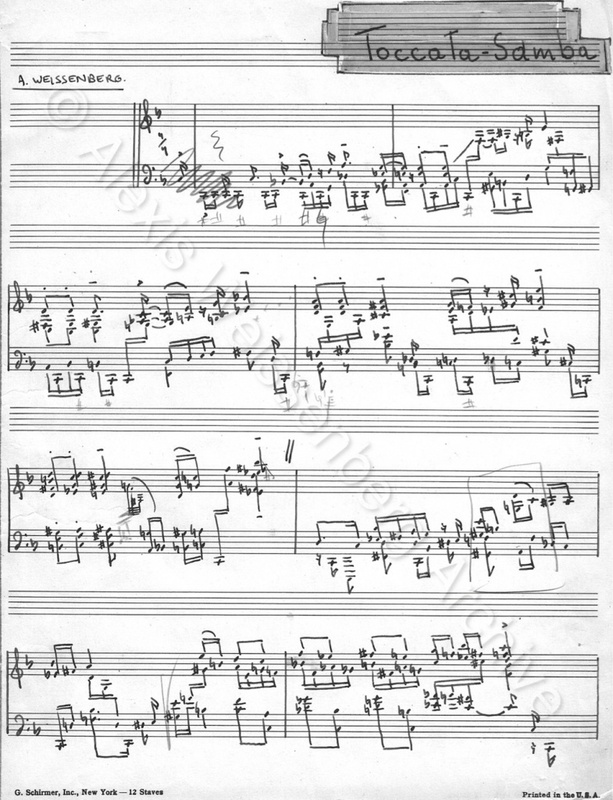 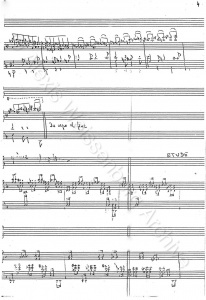 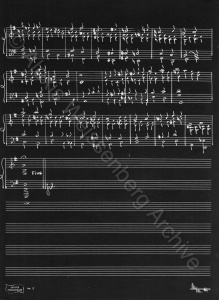 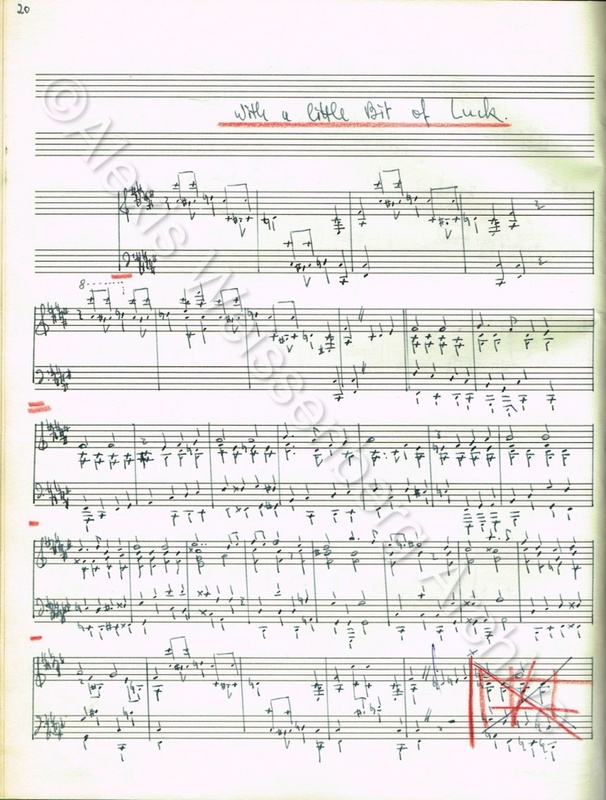 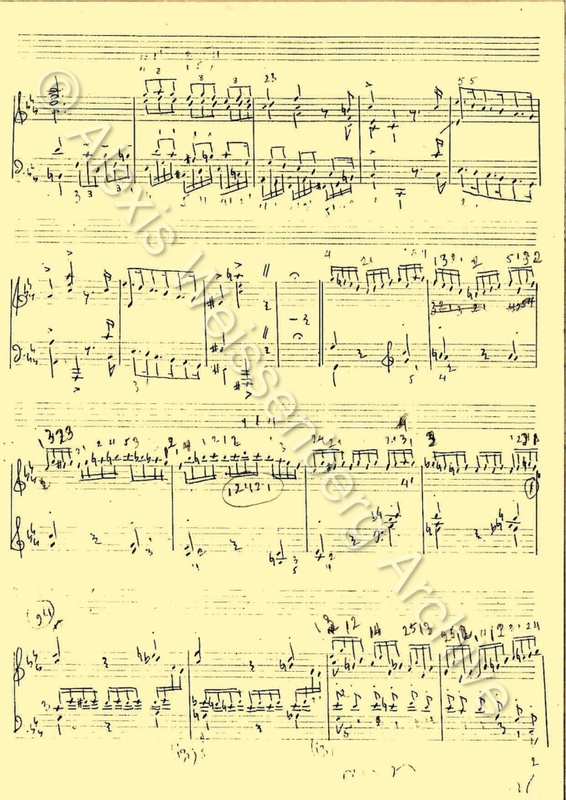 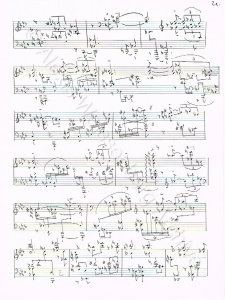 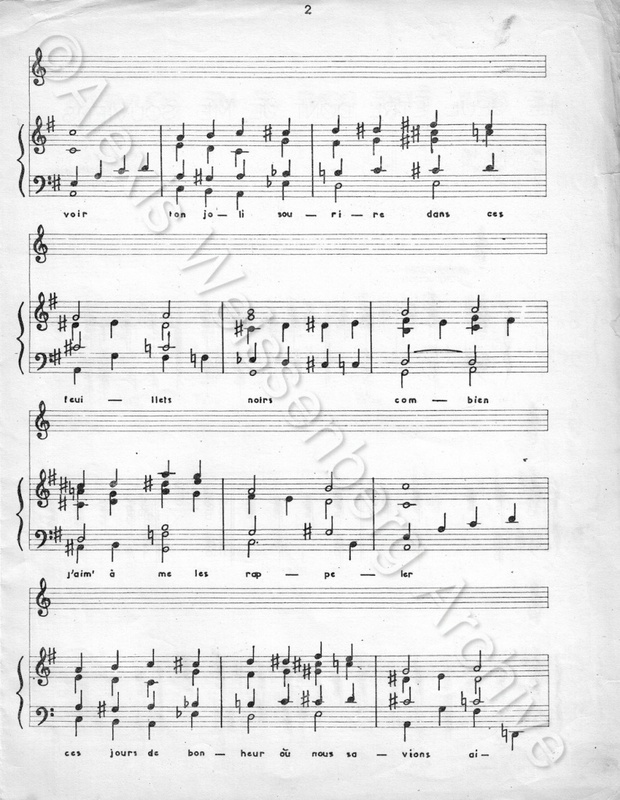 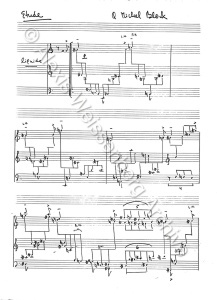 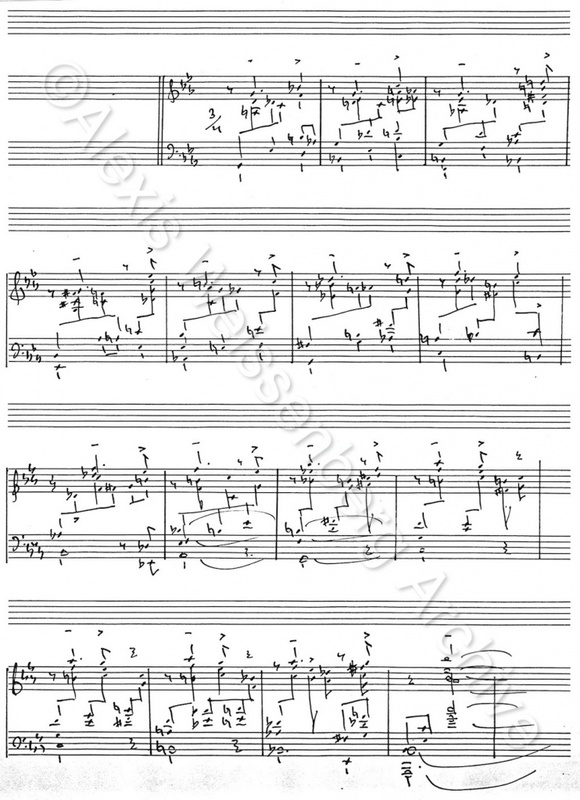 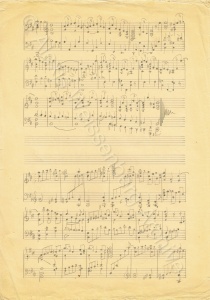 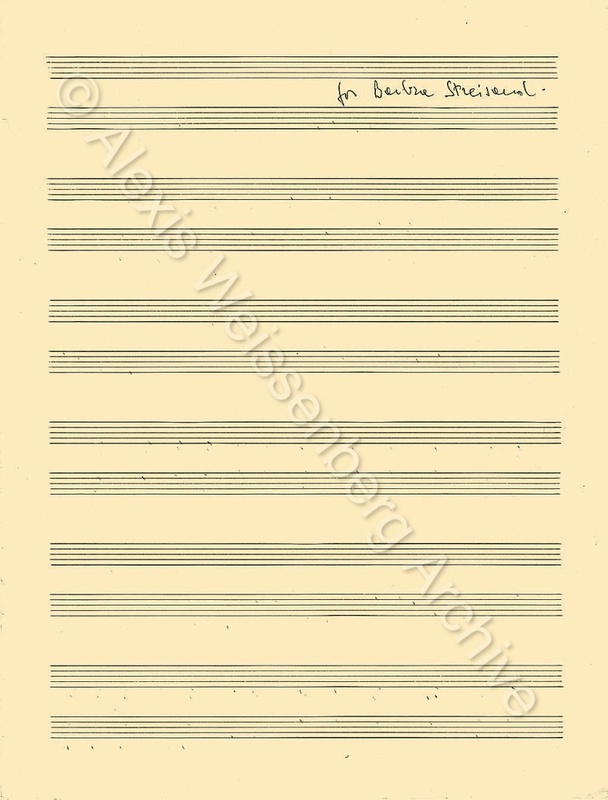 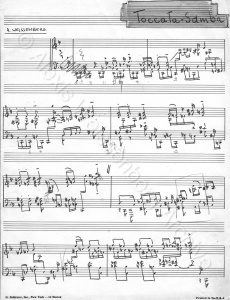 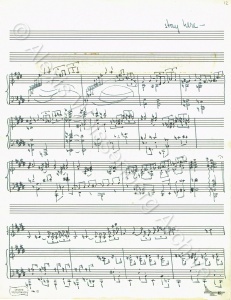 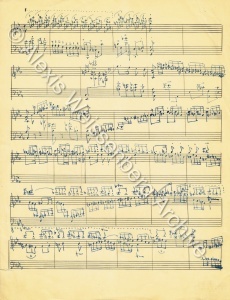 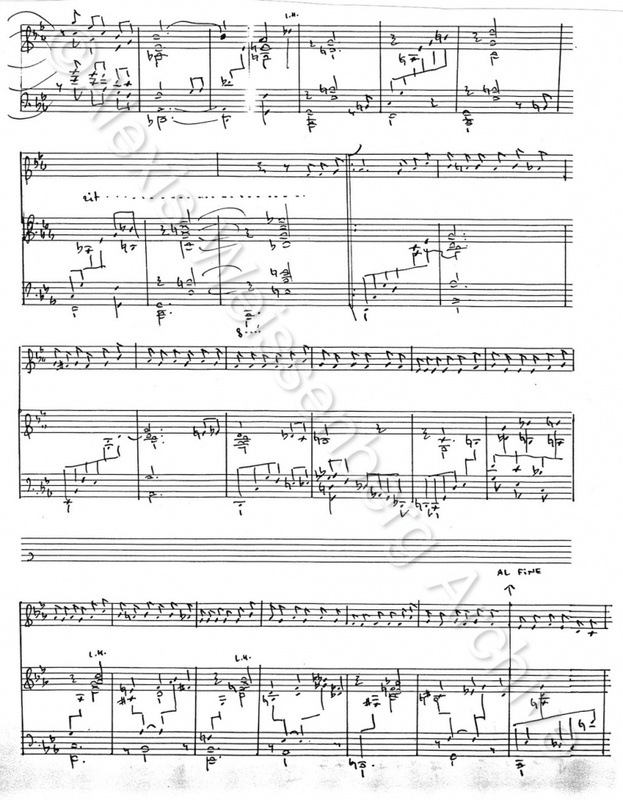 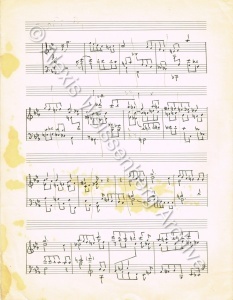 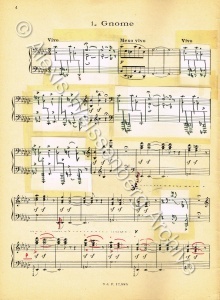 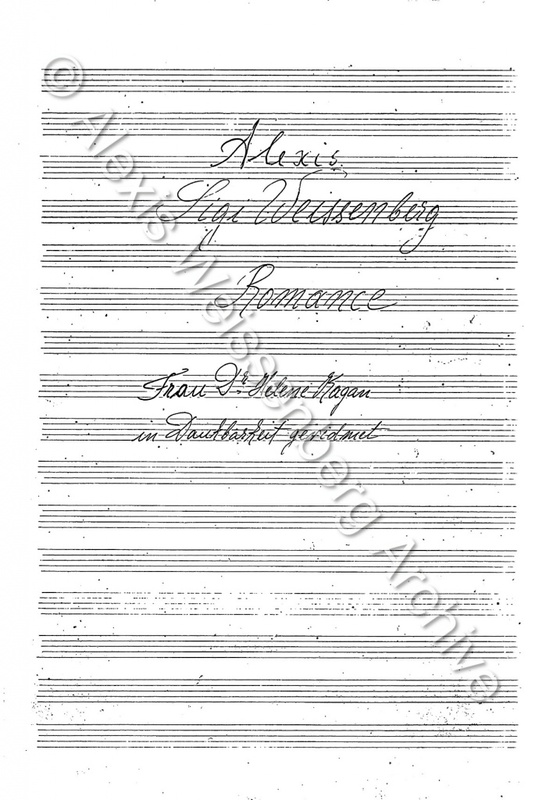 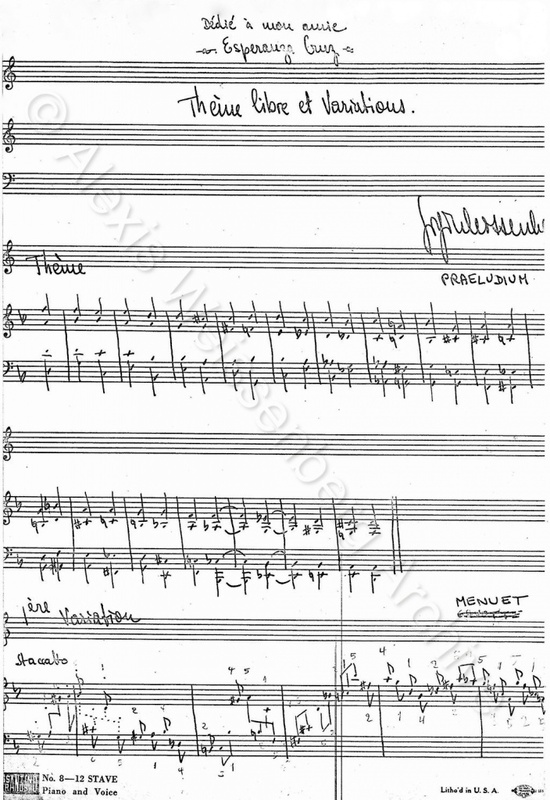 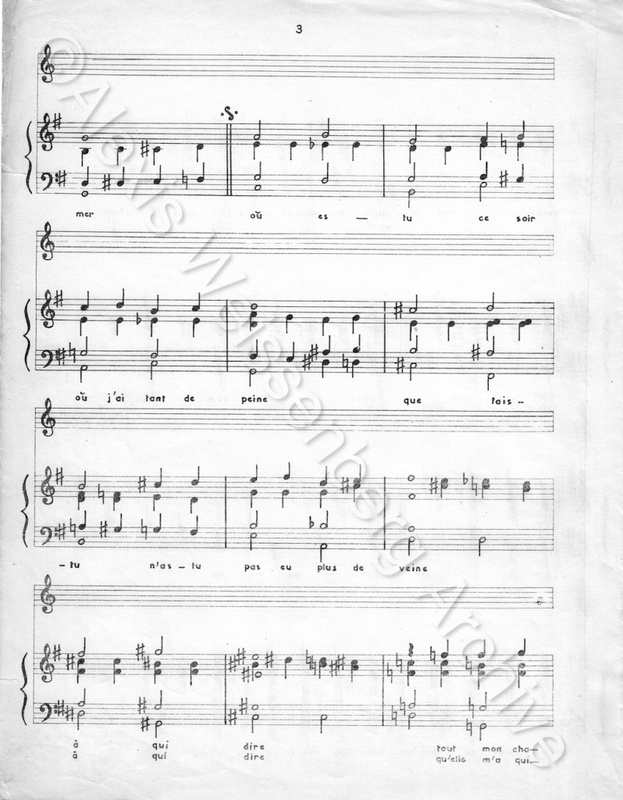 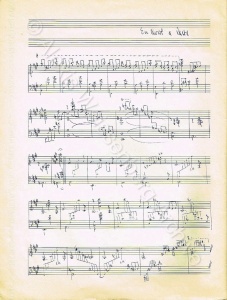 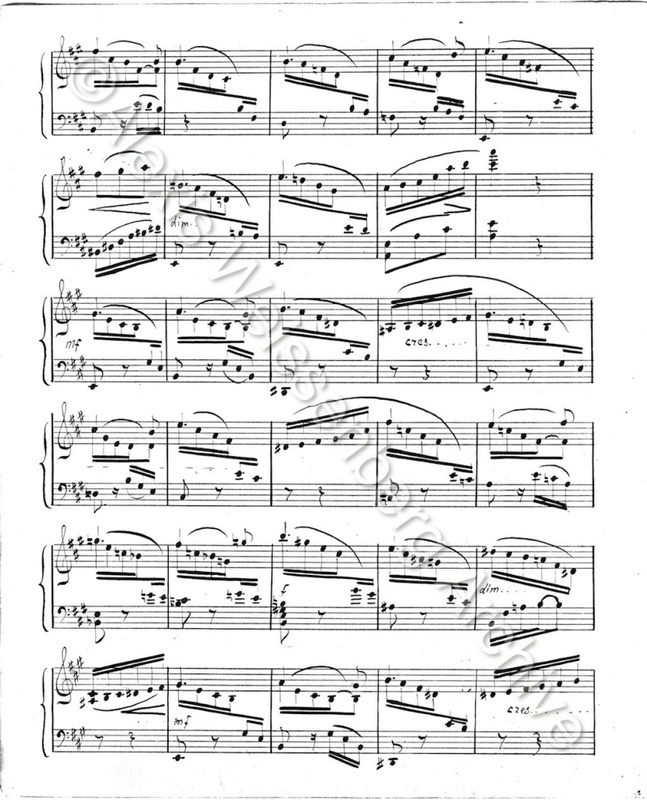 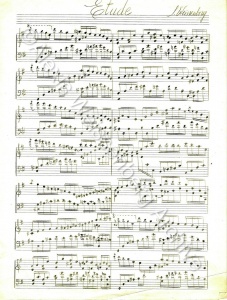 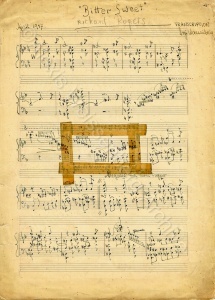 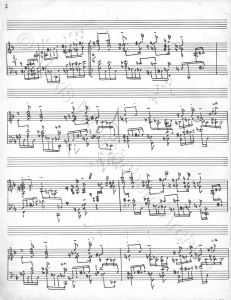 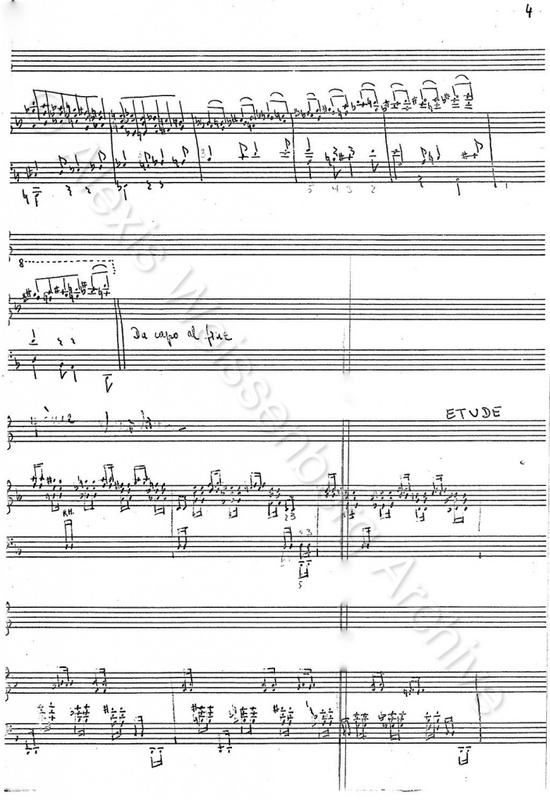 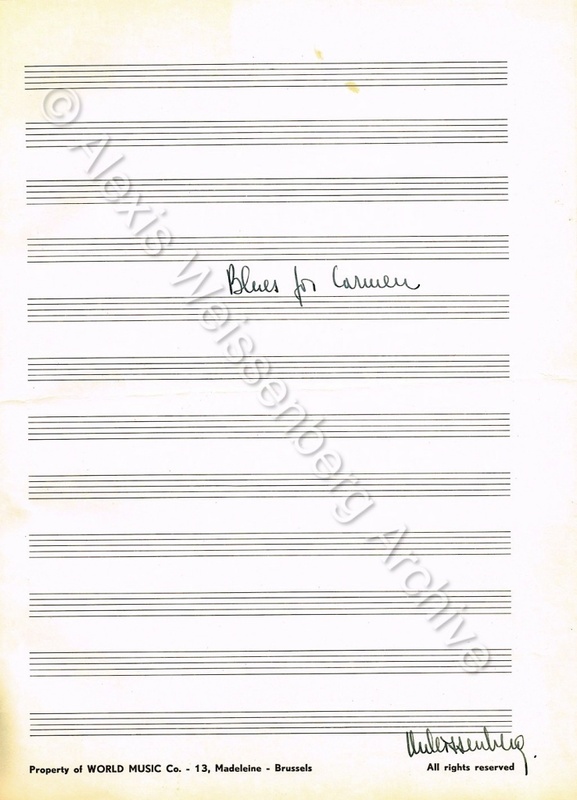 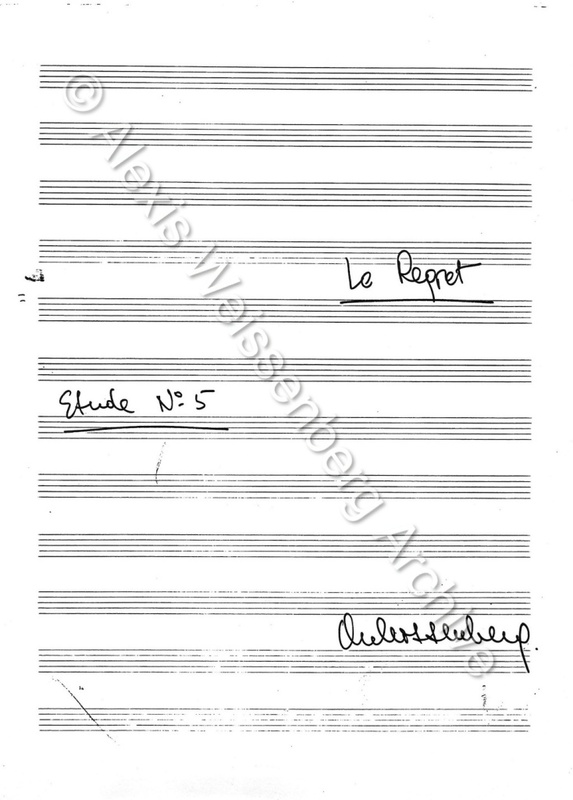 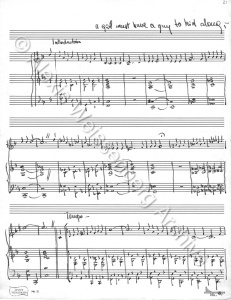 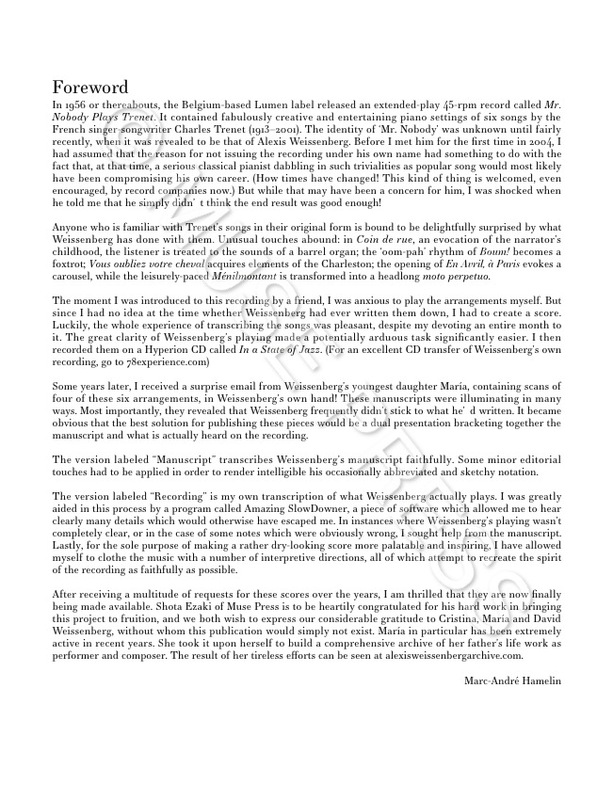 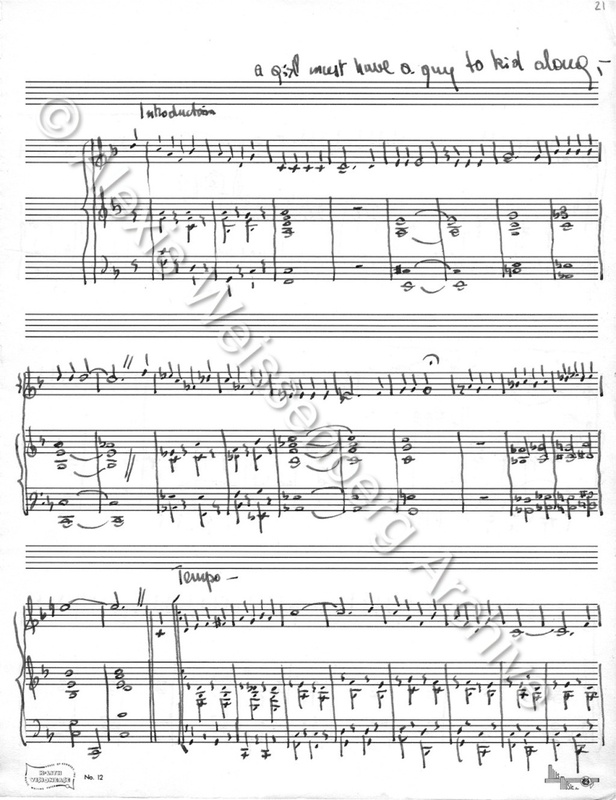 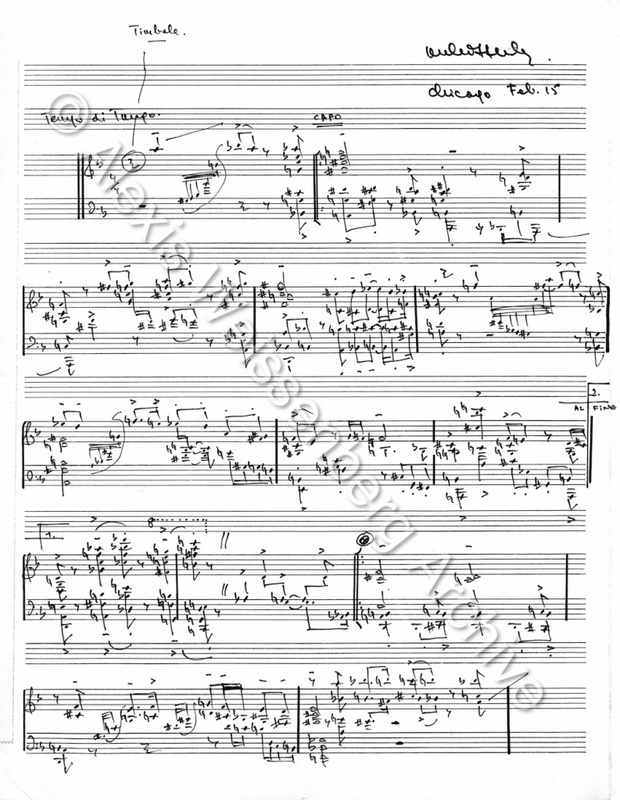 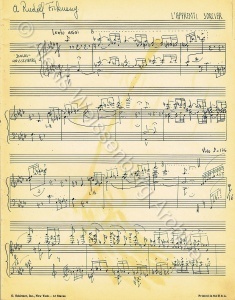 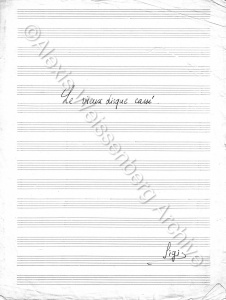 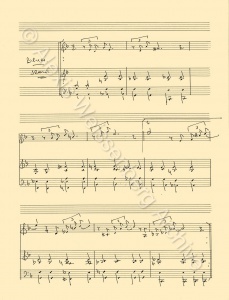 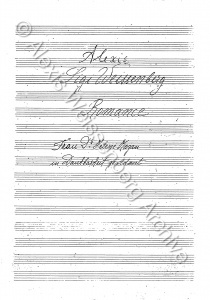 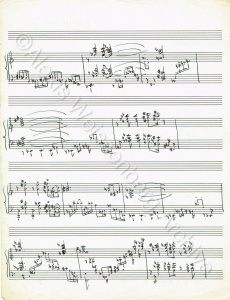 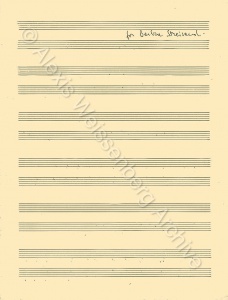 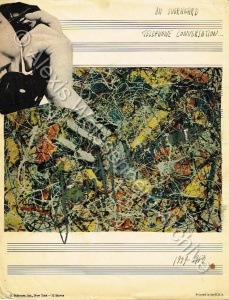 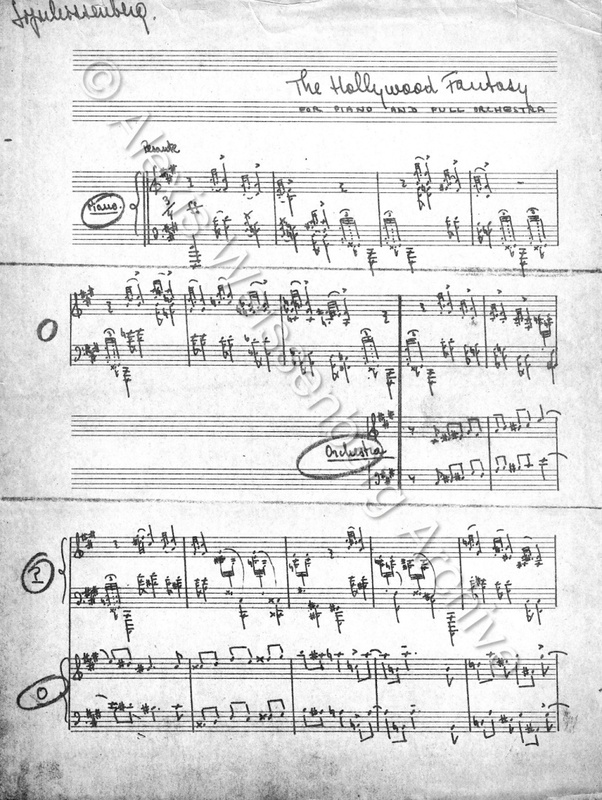 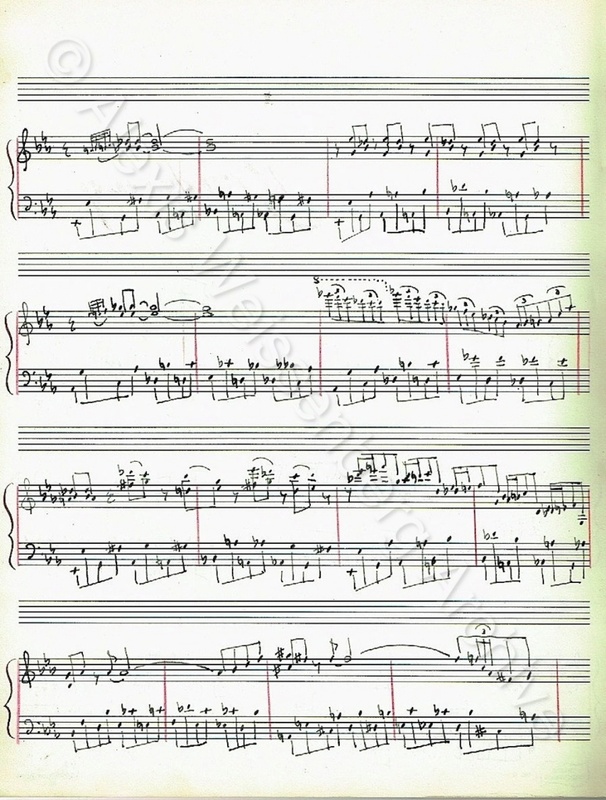 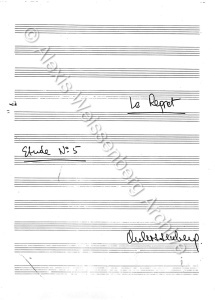 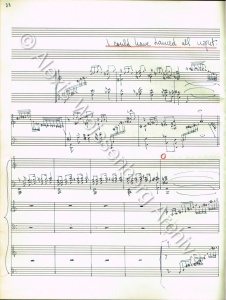 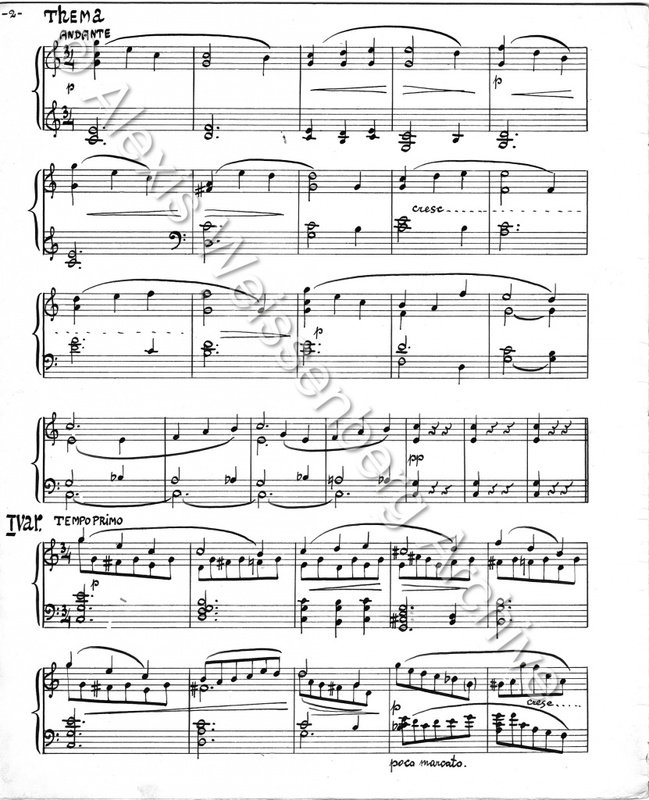 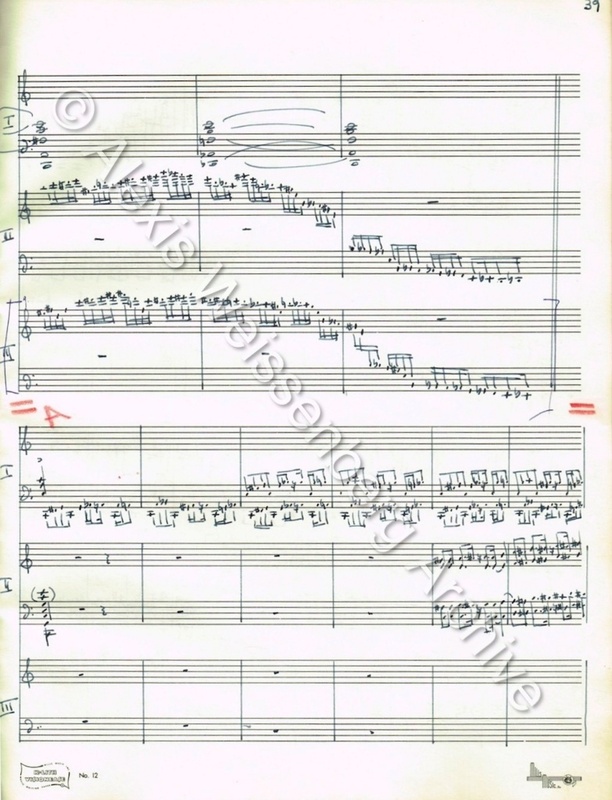 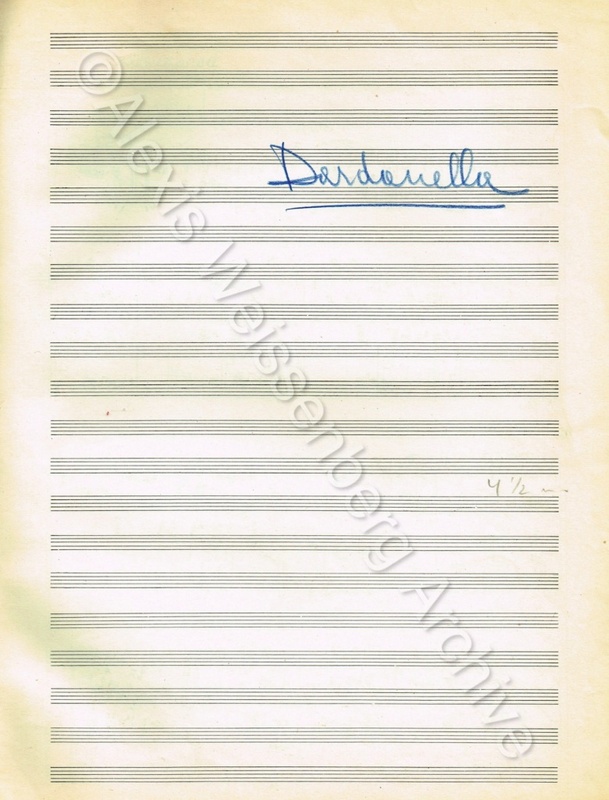 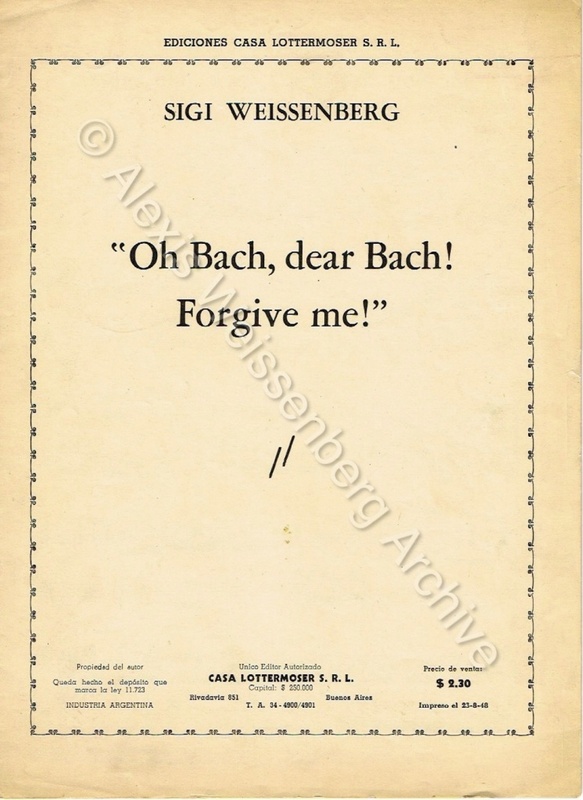 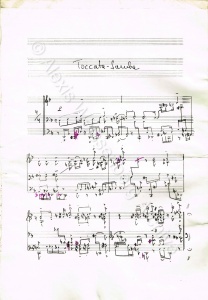 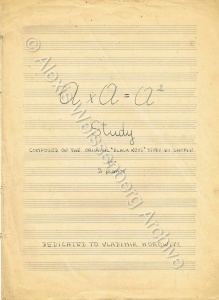 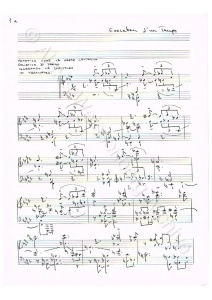 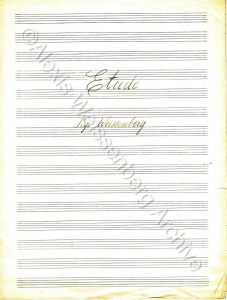 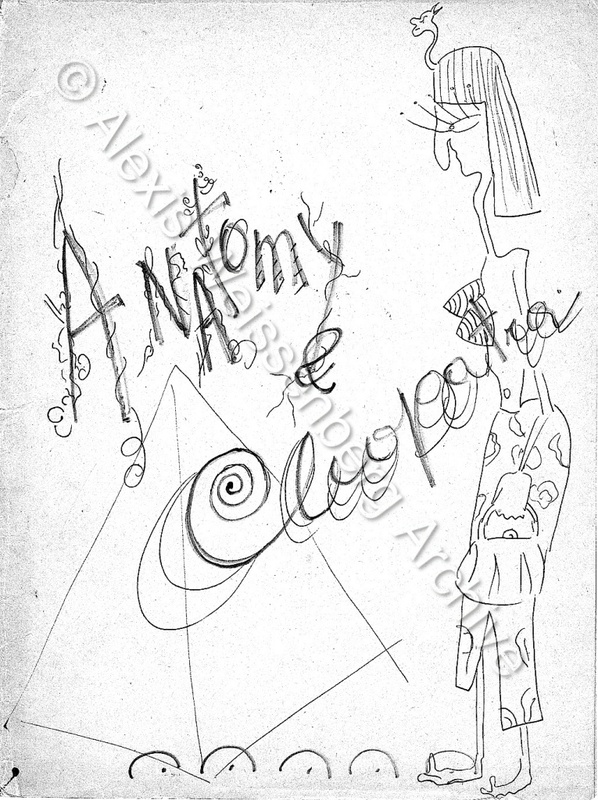 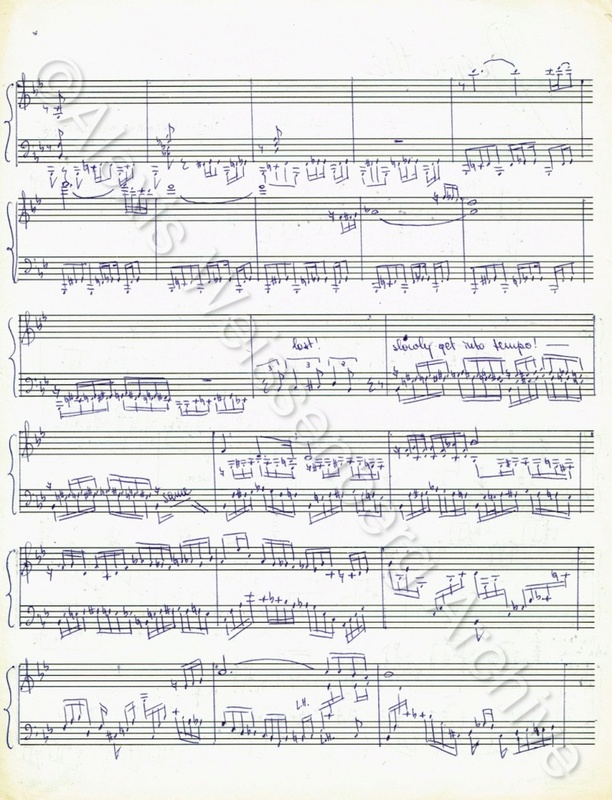 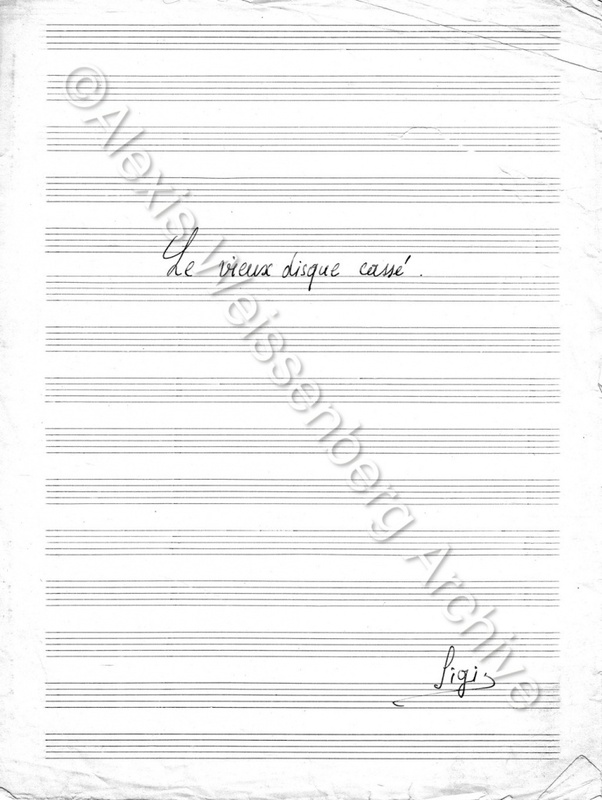 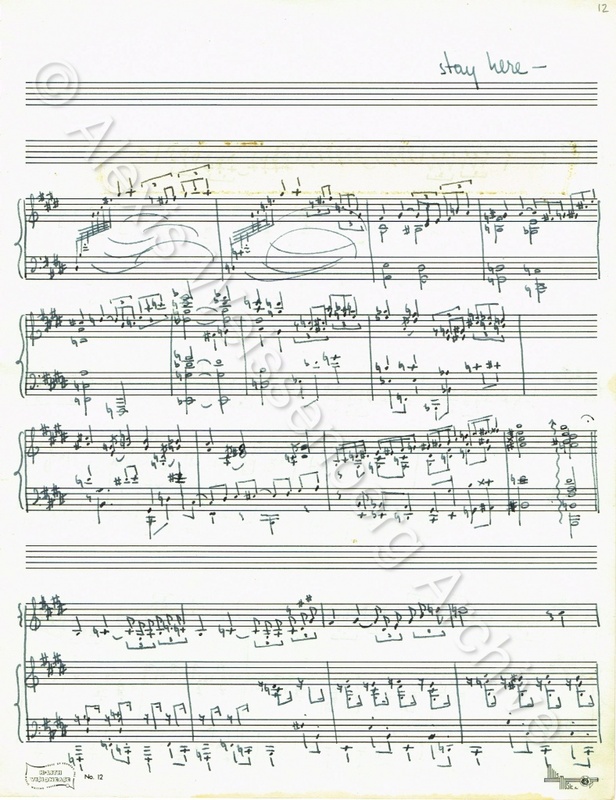 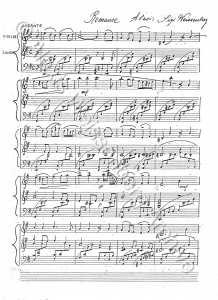 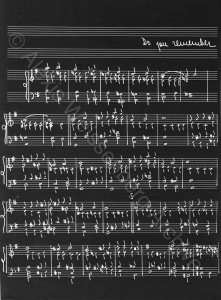 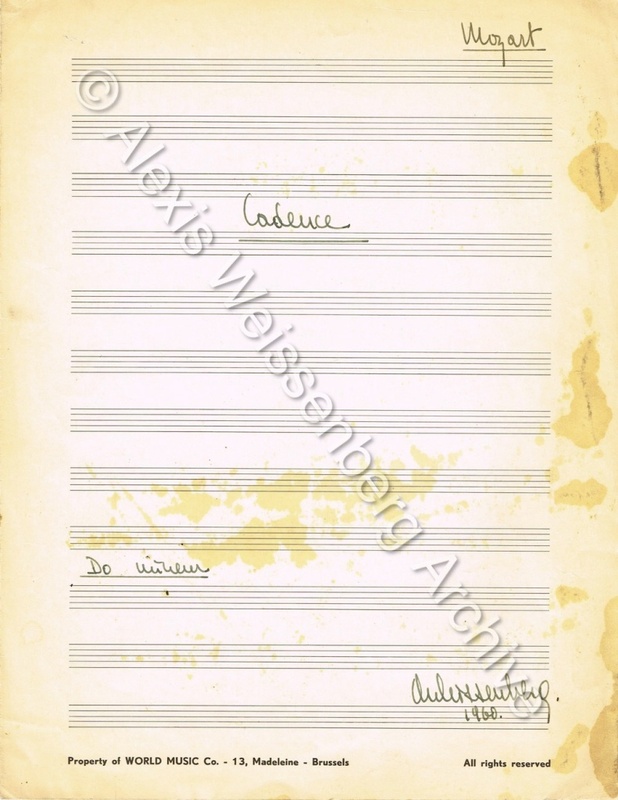 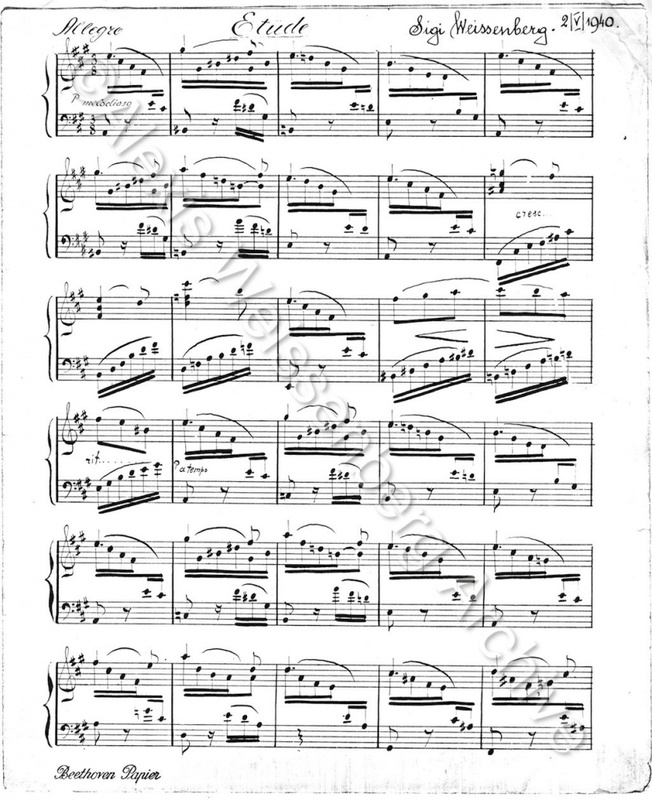 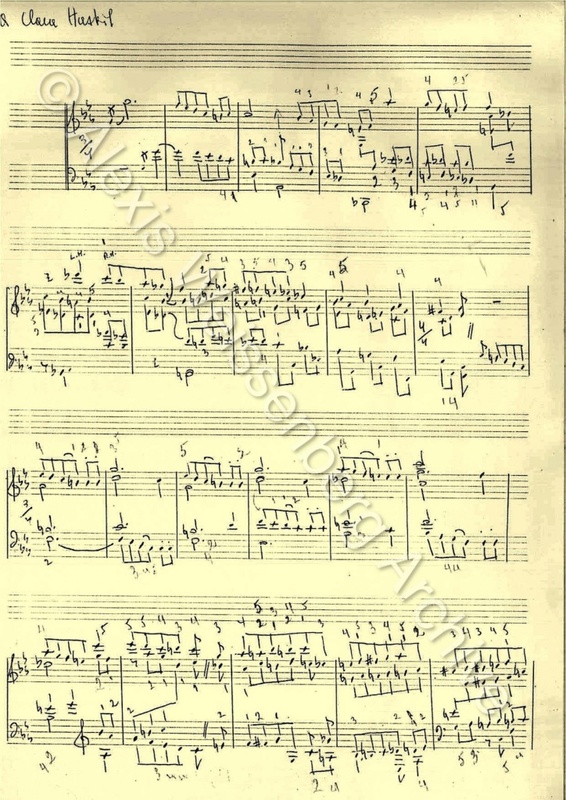 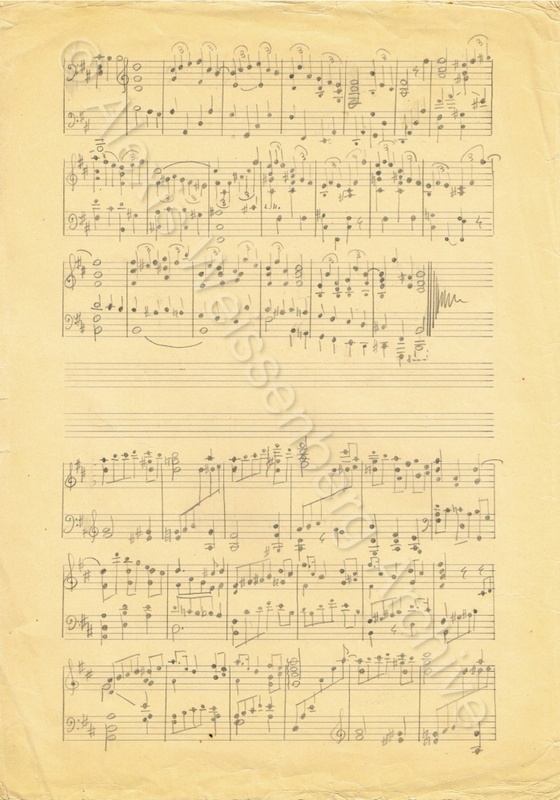 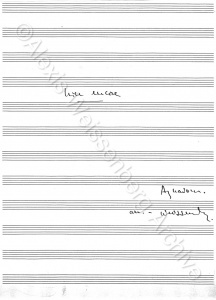 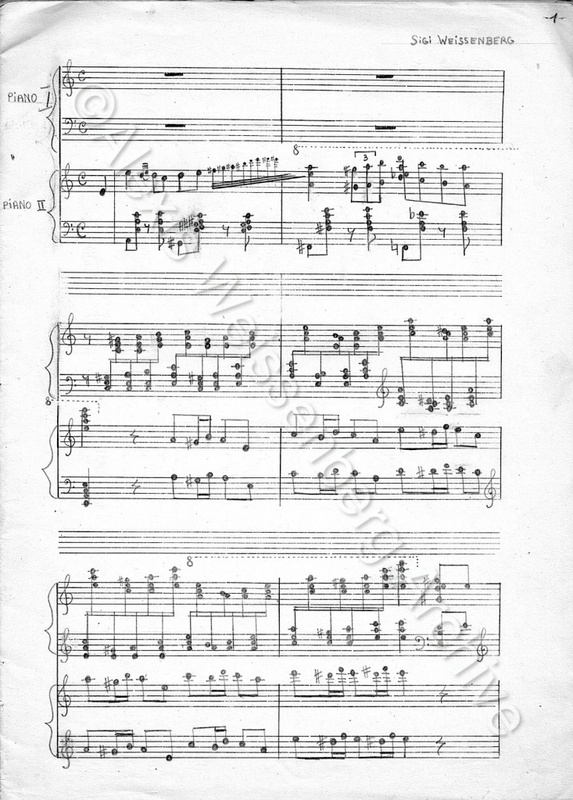 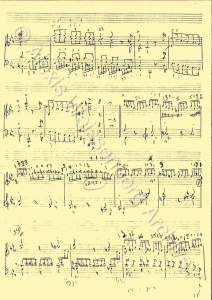 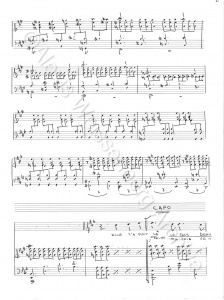 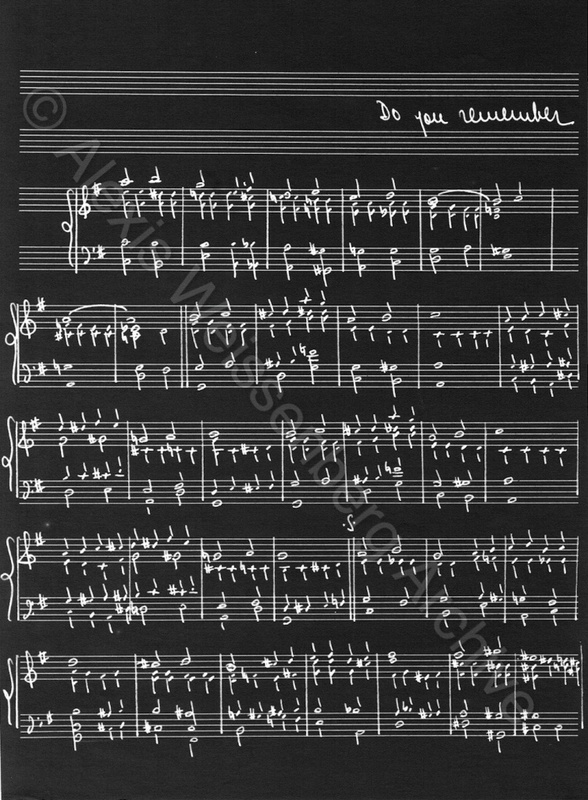 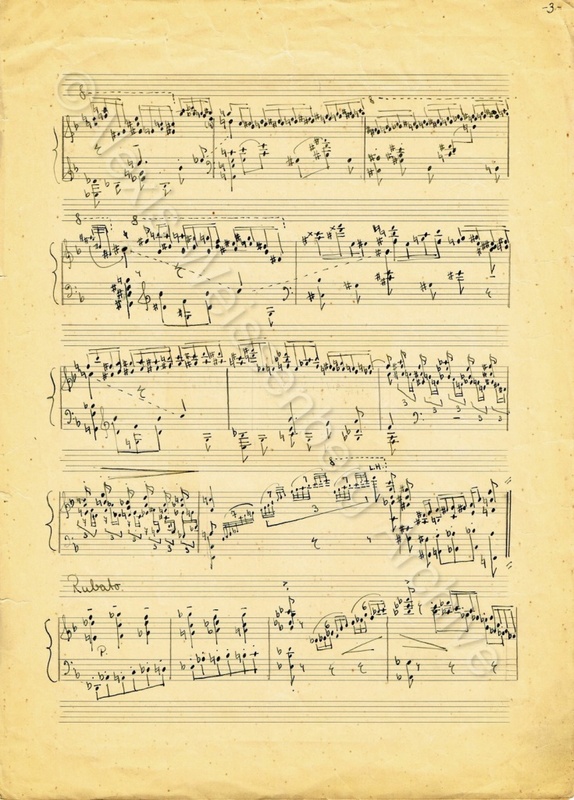 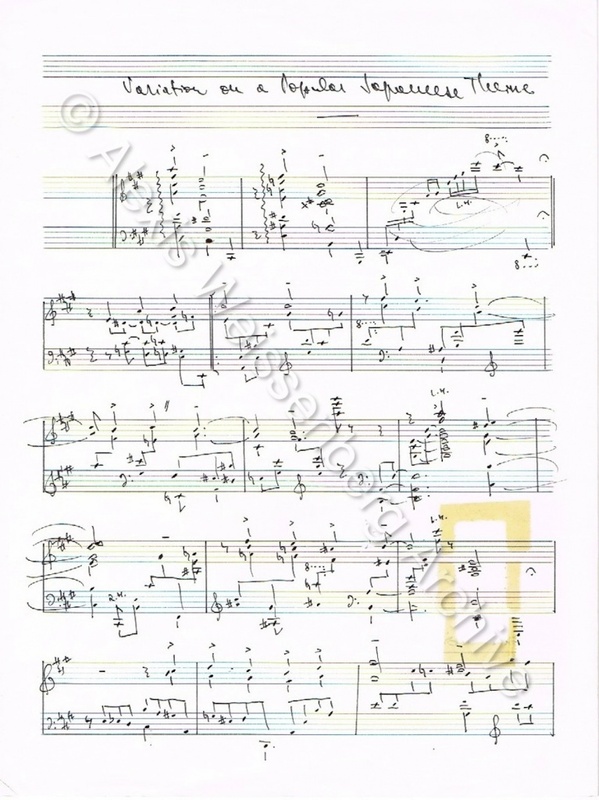 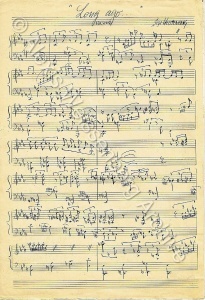 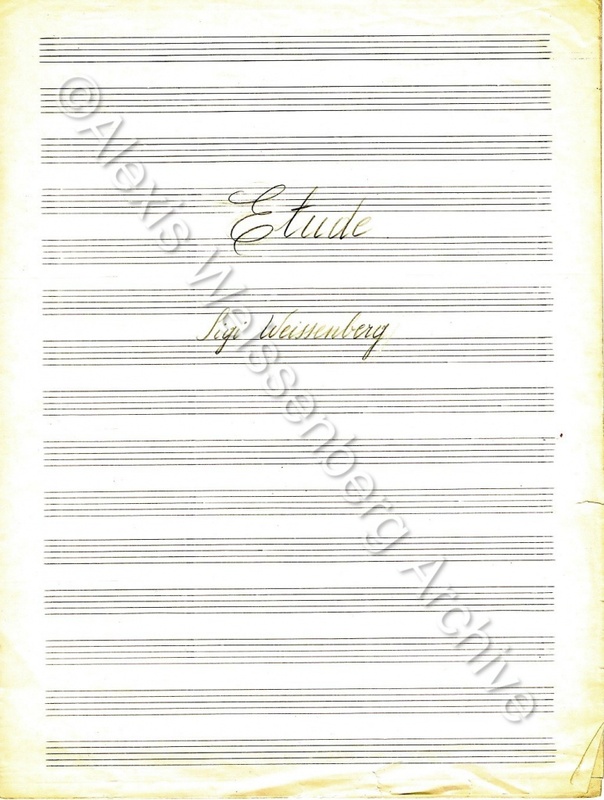 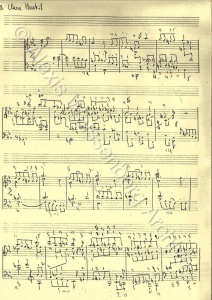 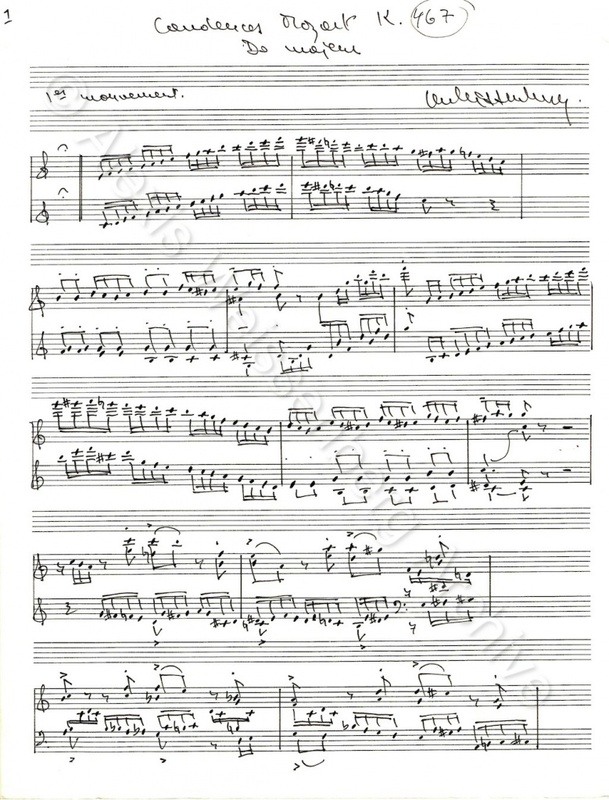 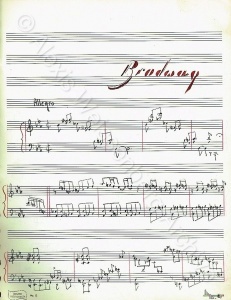 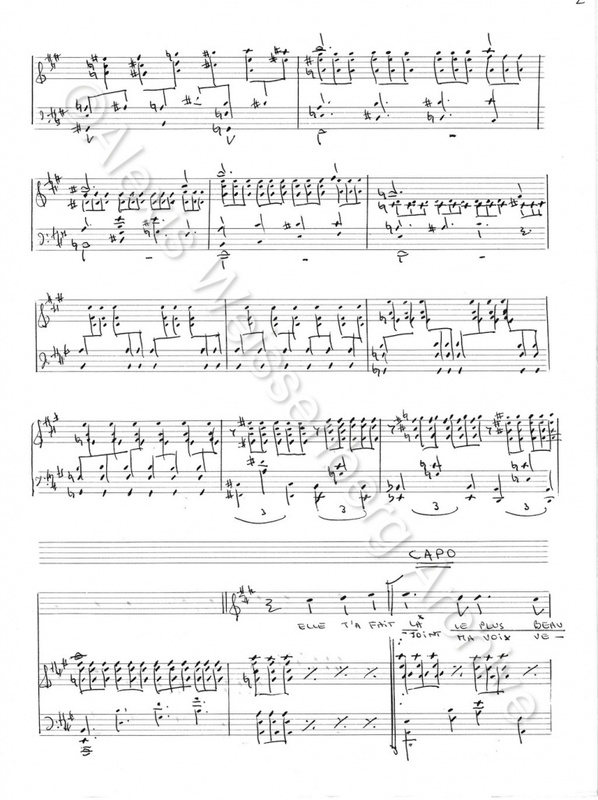 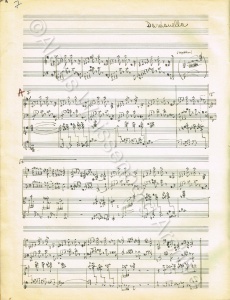 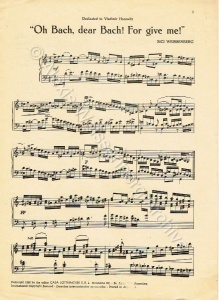 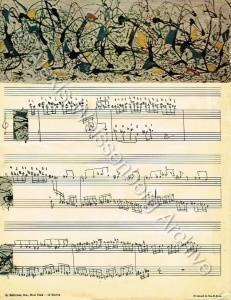 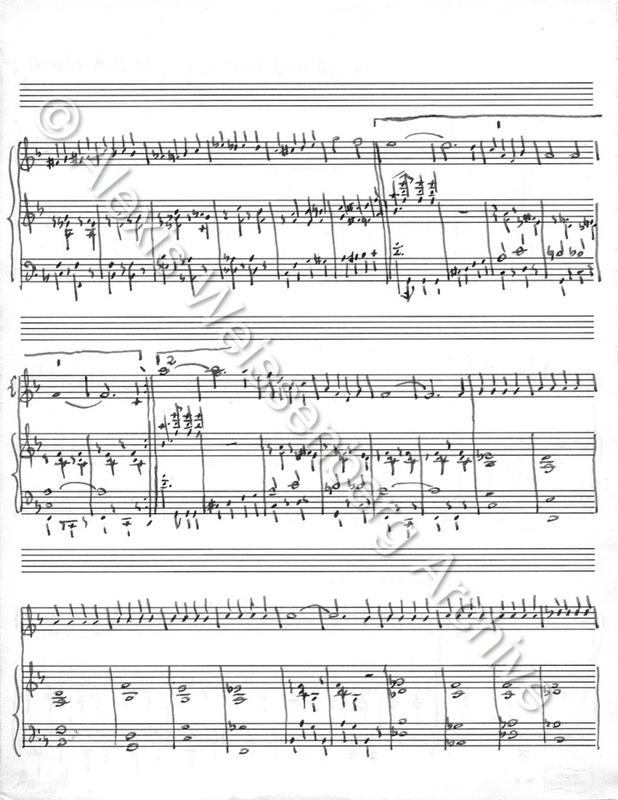 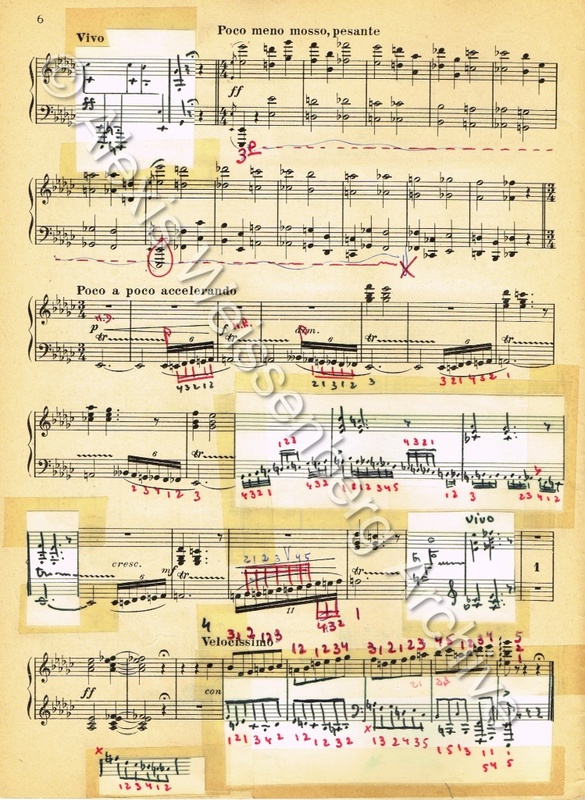 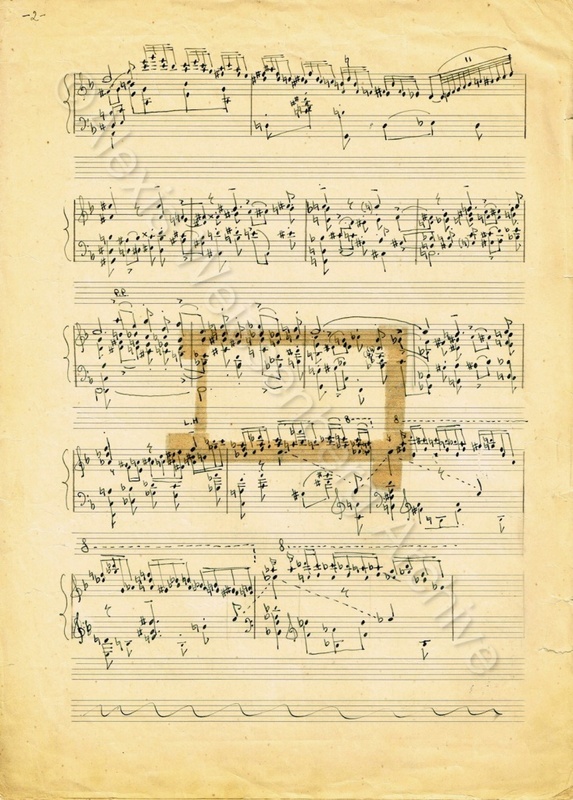 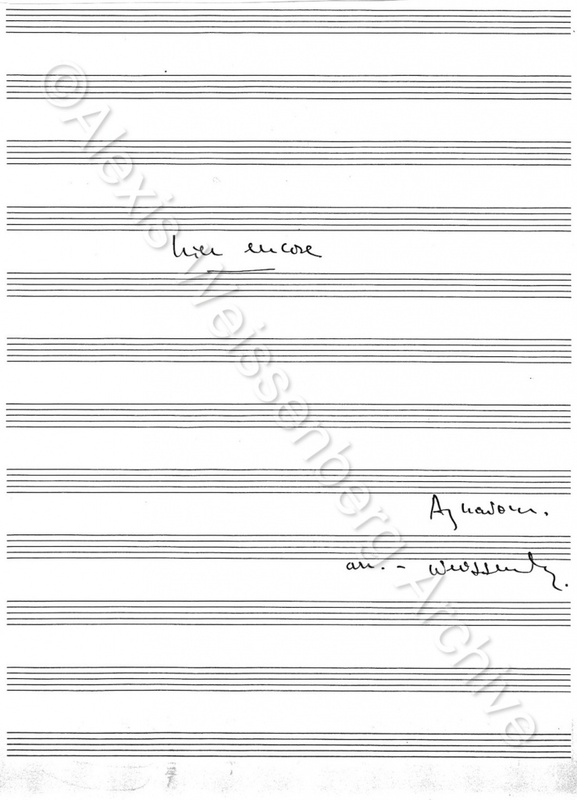 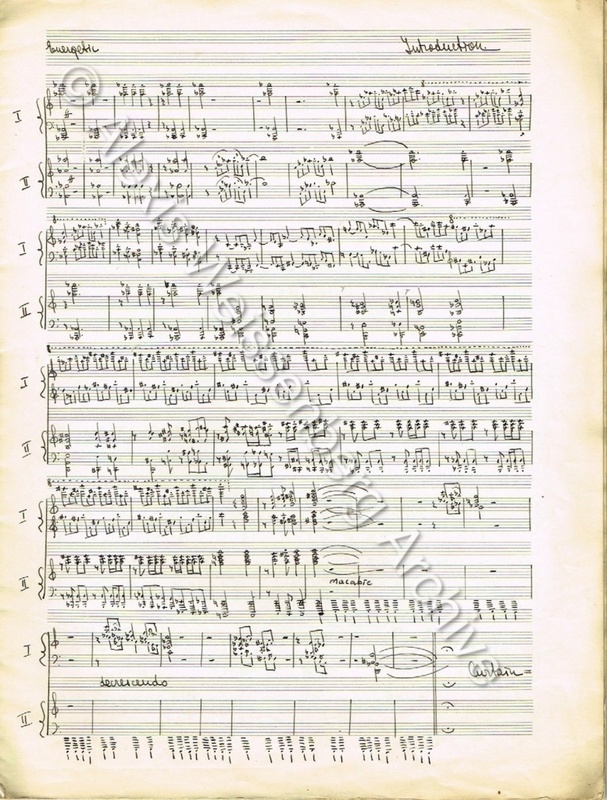 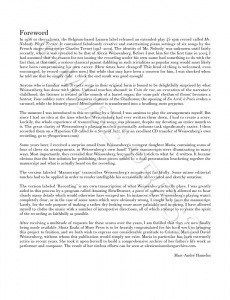 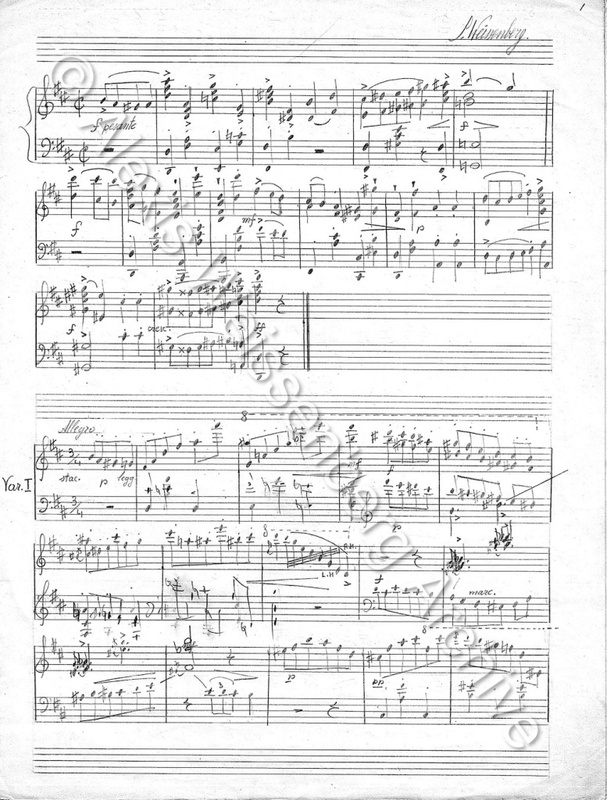 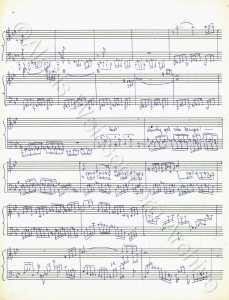 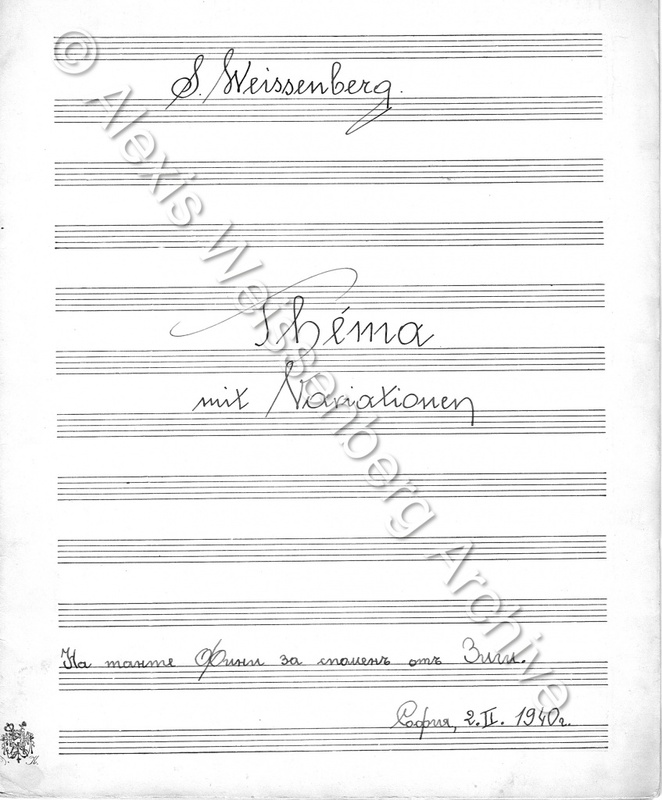 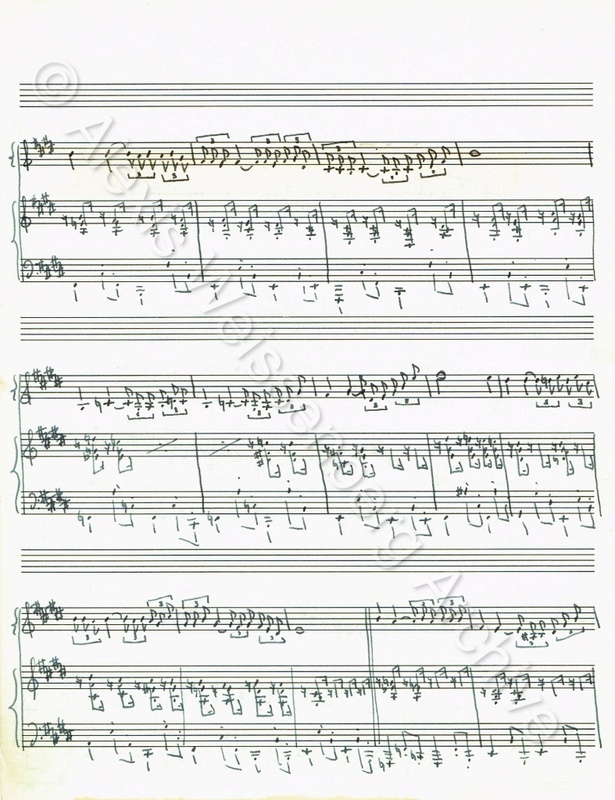 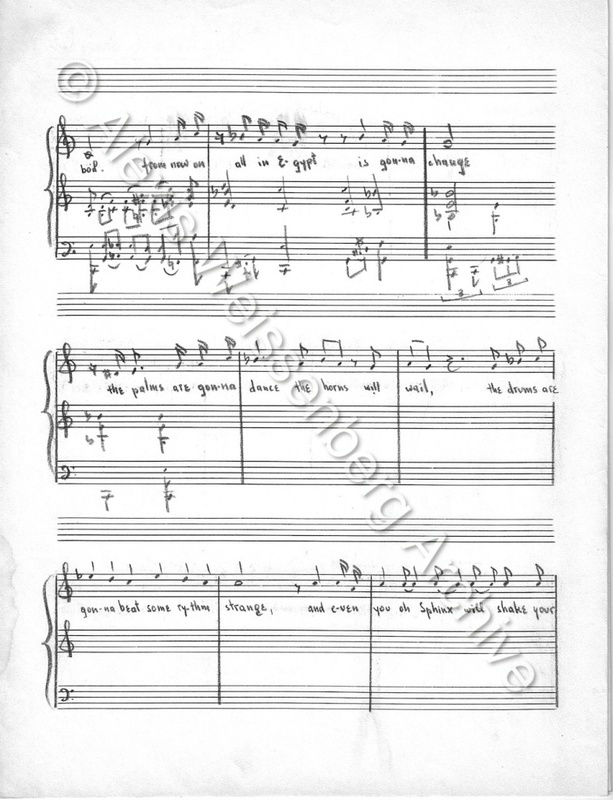 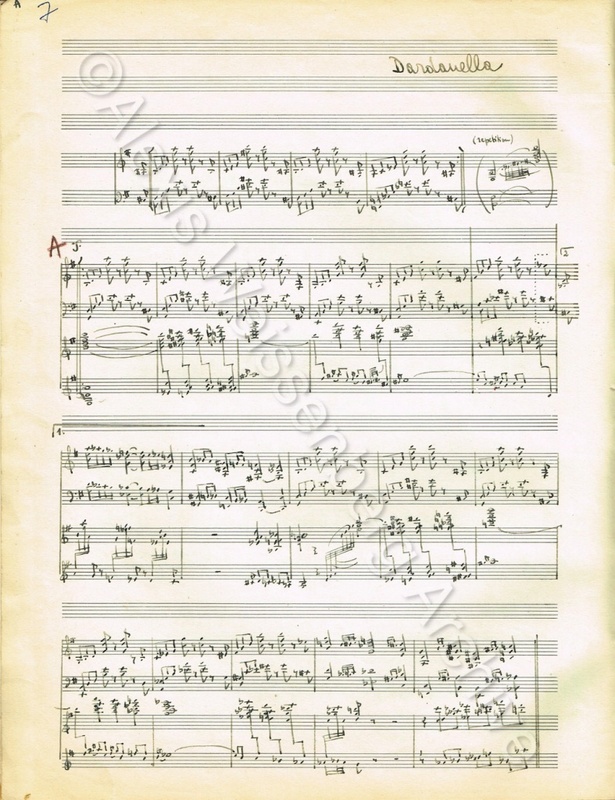 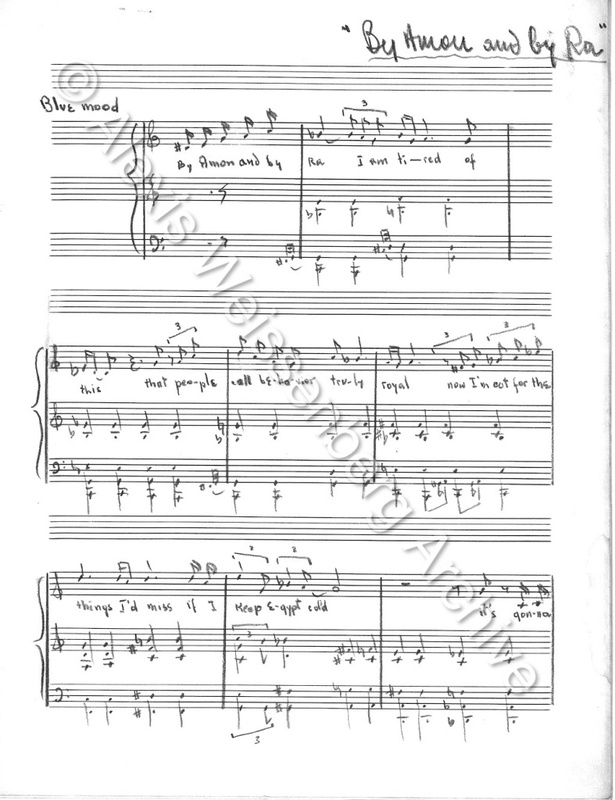 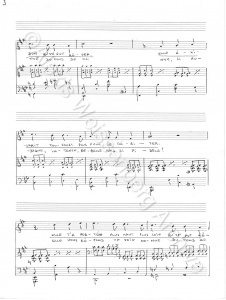 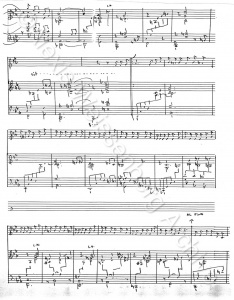 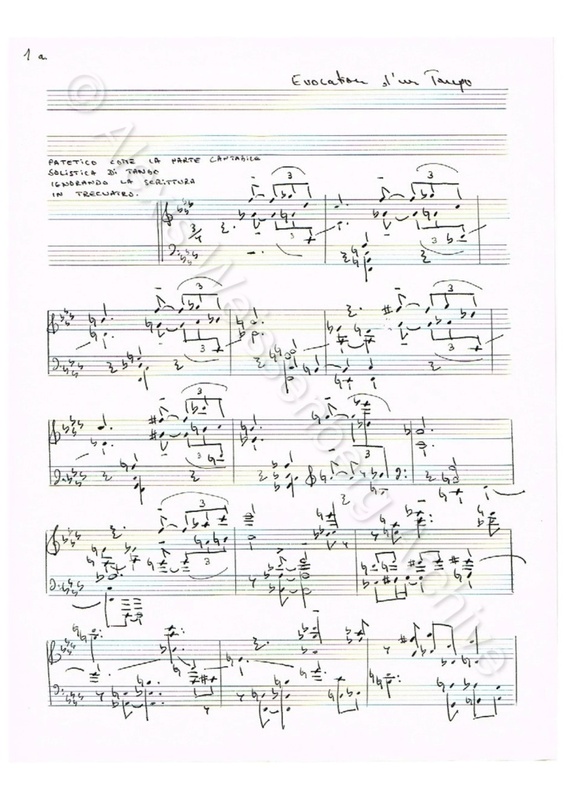 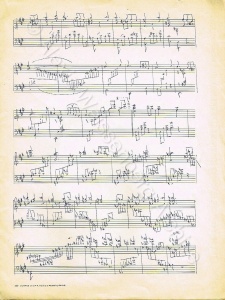 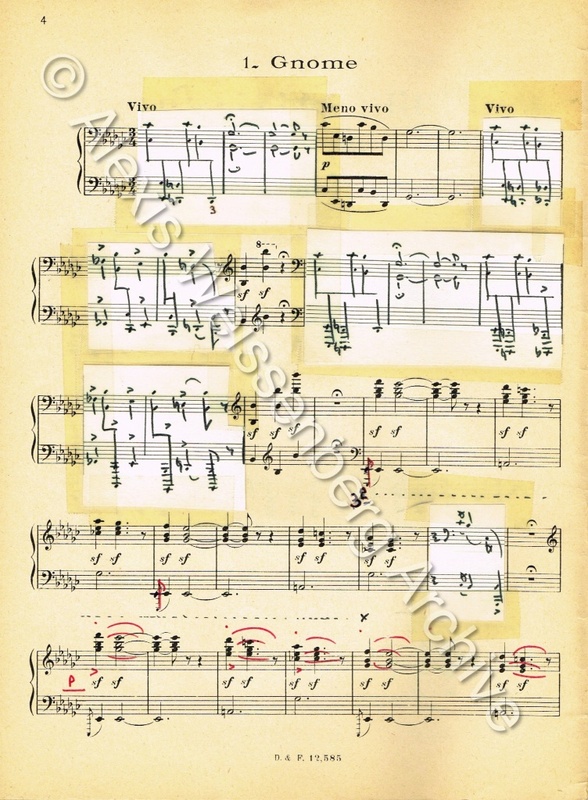 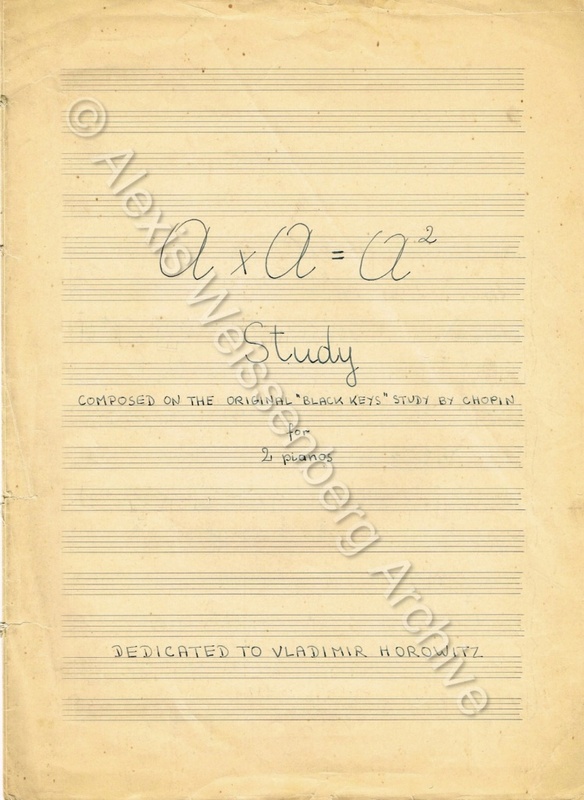 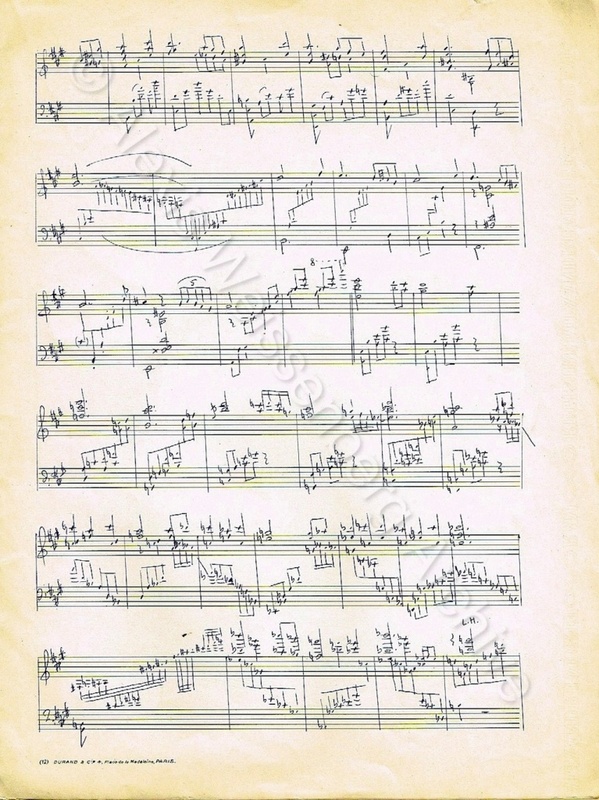 Alexis Weissenberg left us numerous handwritten scores demonstrating his interest in composition from a very young age. 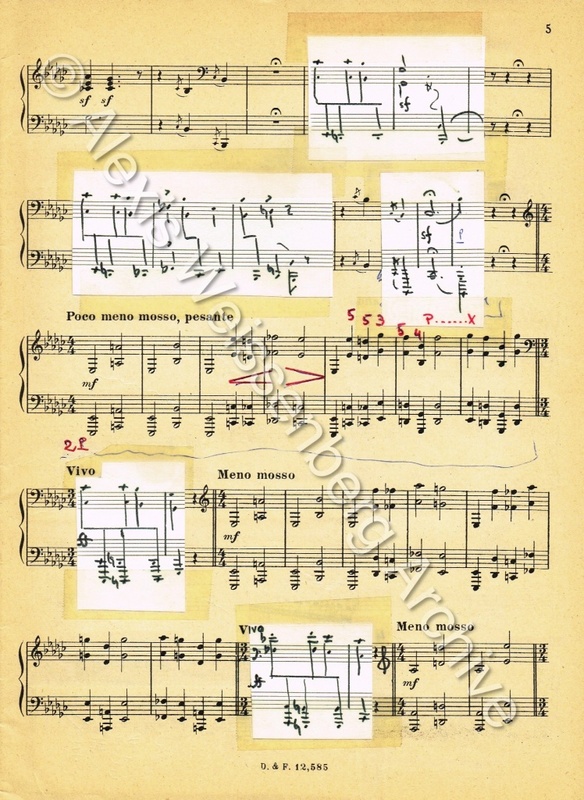 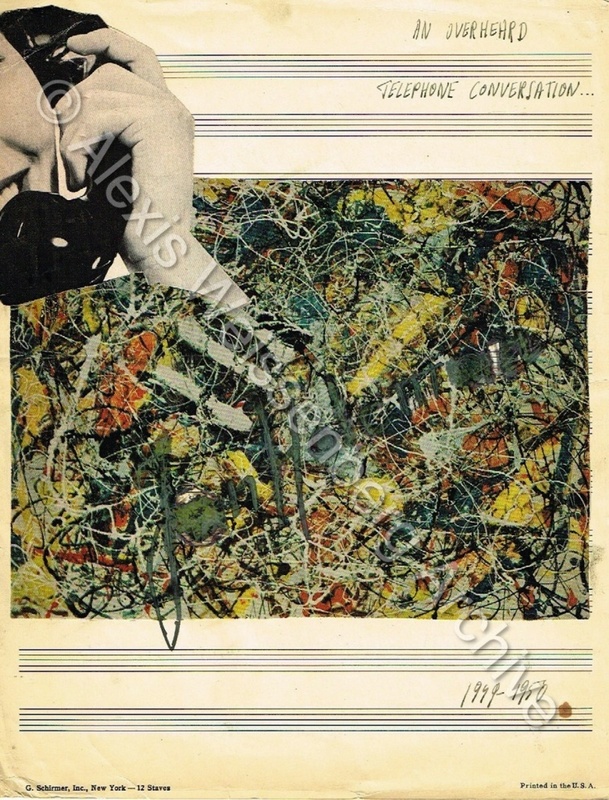 From the mid-forties, Jazz becomes a fundamental element in his works. 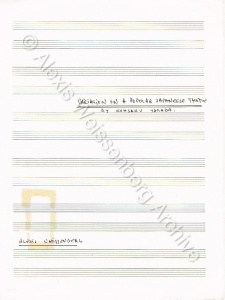 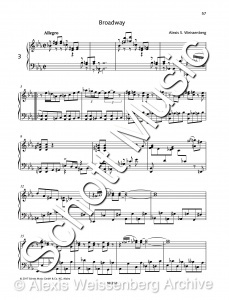 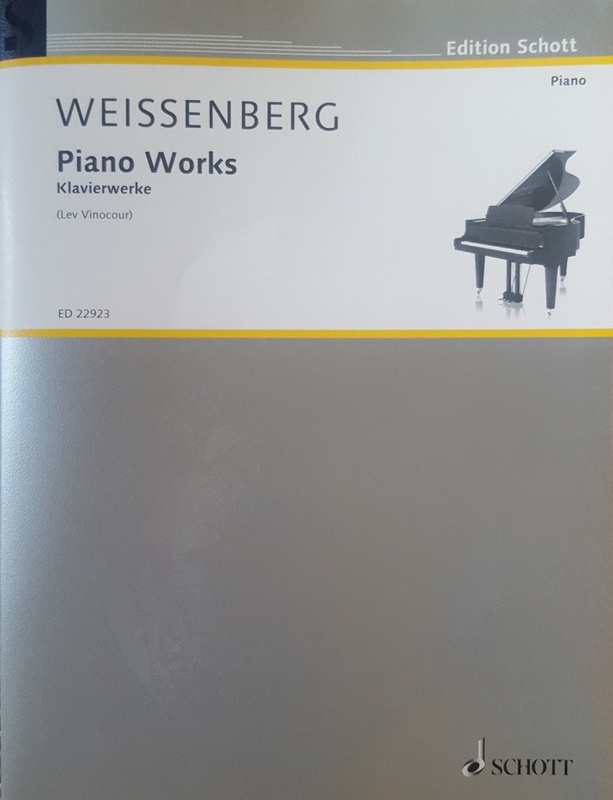 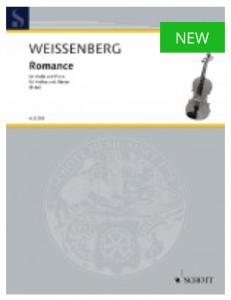 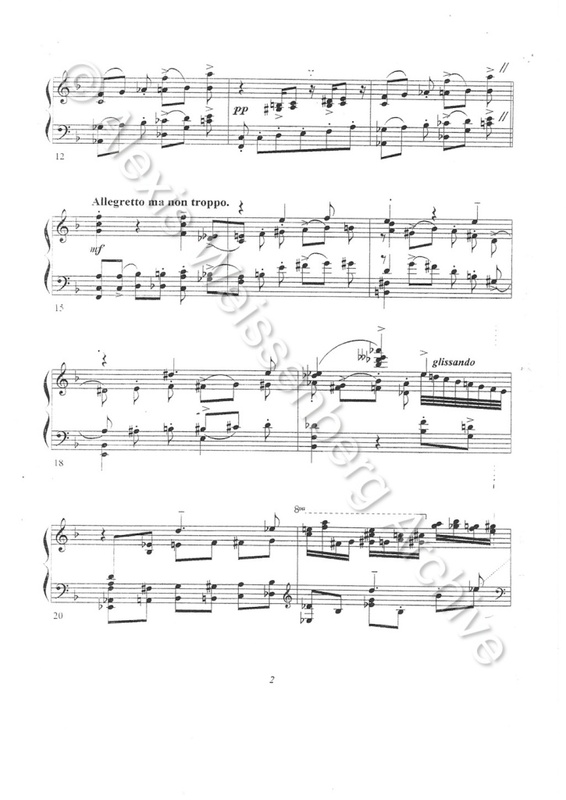 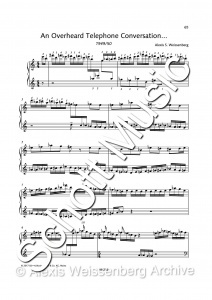 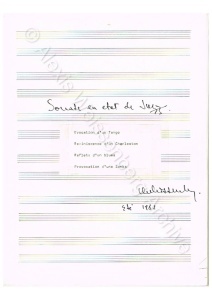 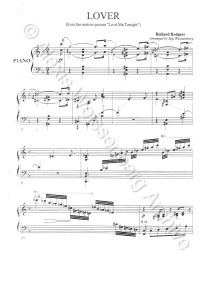 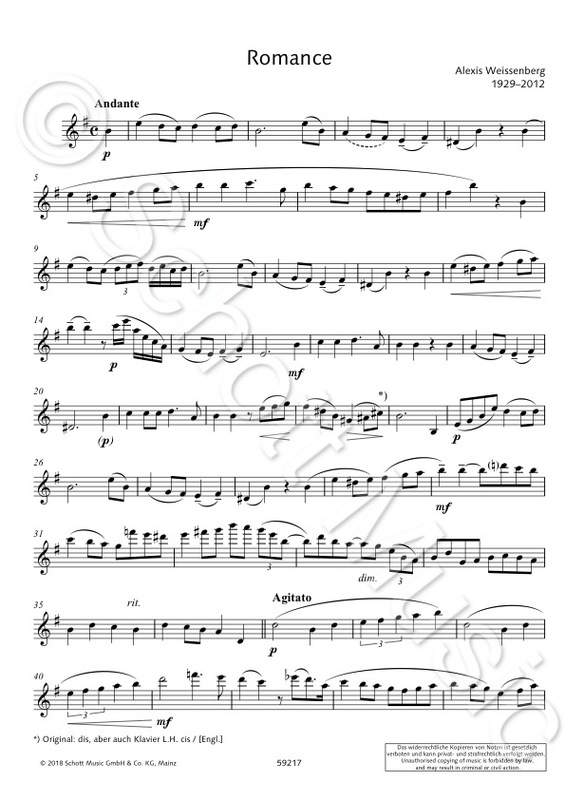 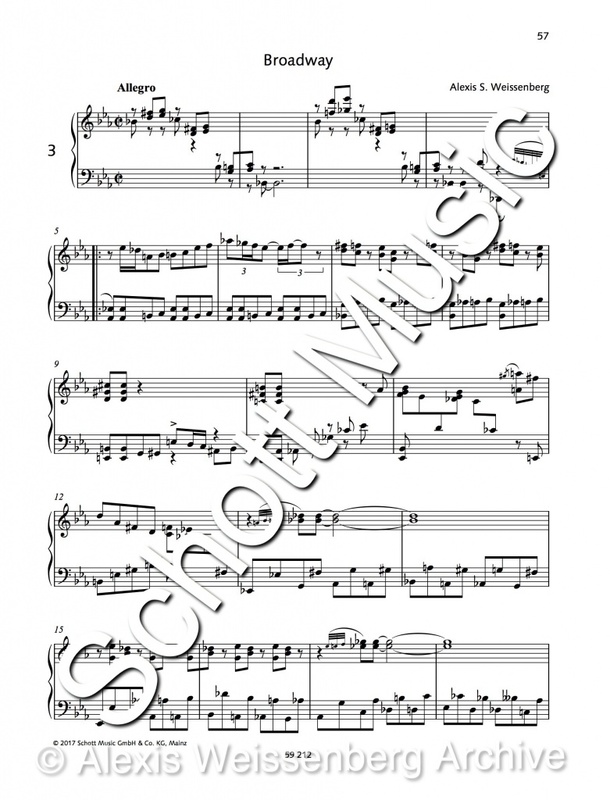 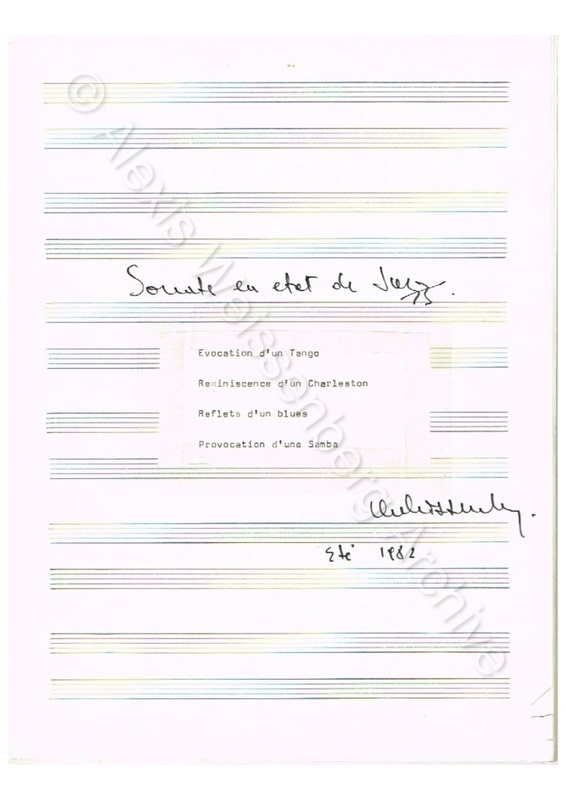 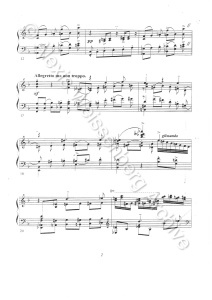 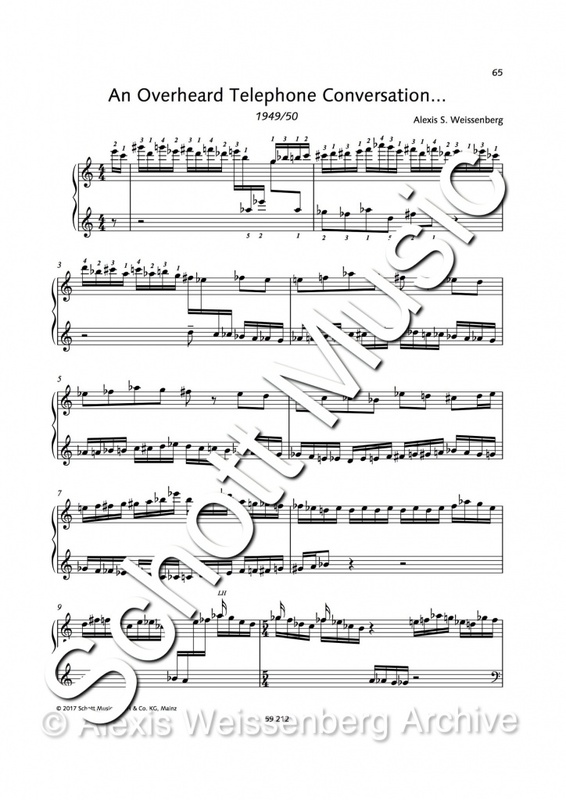 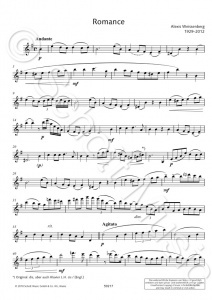 One of our main goals is to carry out the edition of Alexis Weissenberg’s compositions. 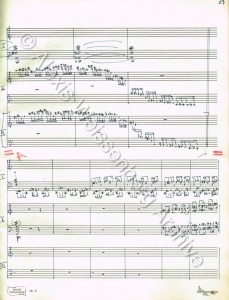 Thus it is that, here, the scores will only be shown partially. 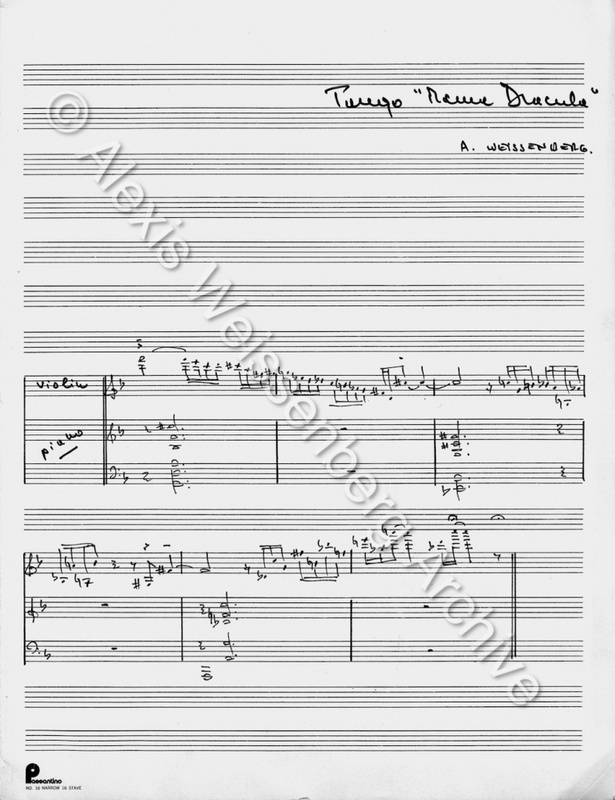 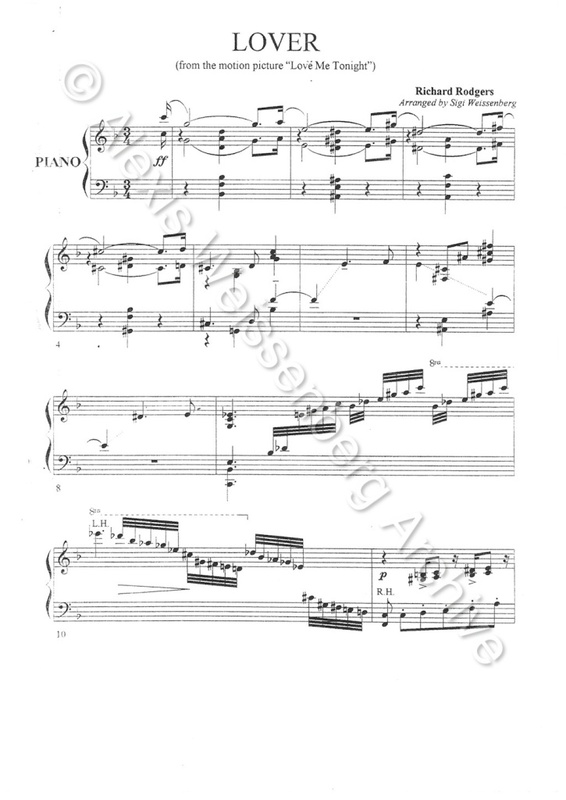 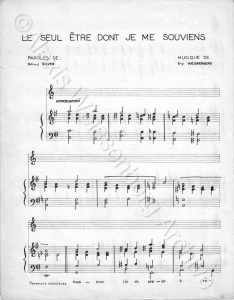 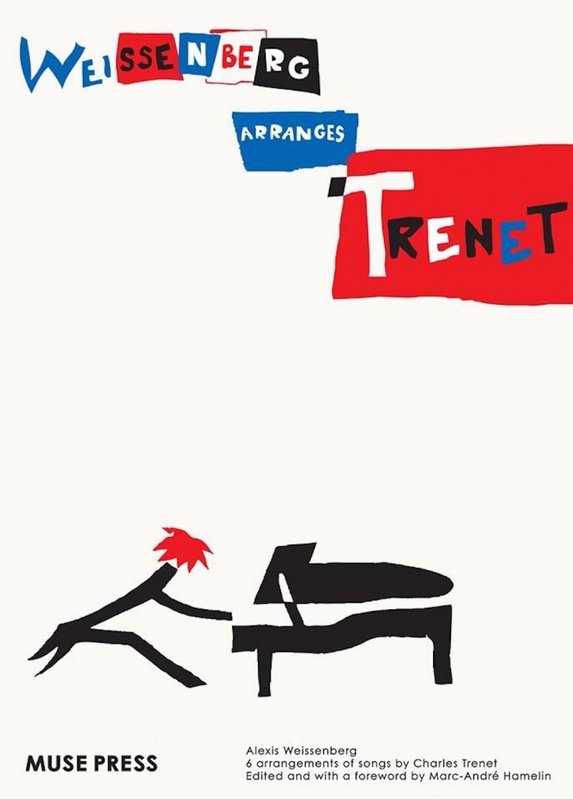 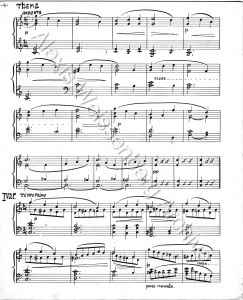 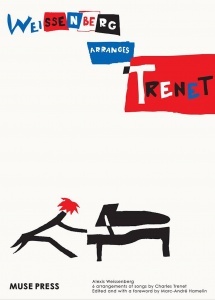 Among the many wonderful arrangements of Alexis Weissenberg, the ones dedicated to Charles Trenet are specially loved by pianists. They have just been published by Muse Press, Japan ( https://muse-press.com/en/item/mp00701/). 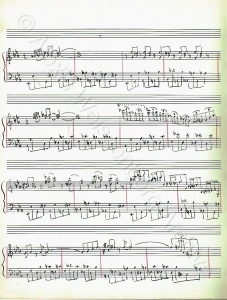 This section will be increased gradually. 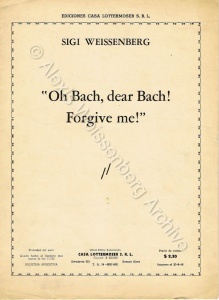 Oh Bach, Dear Bach, Forgive Me!